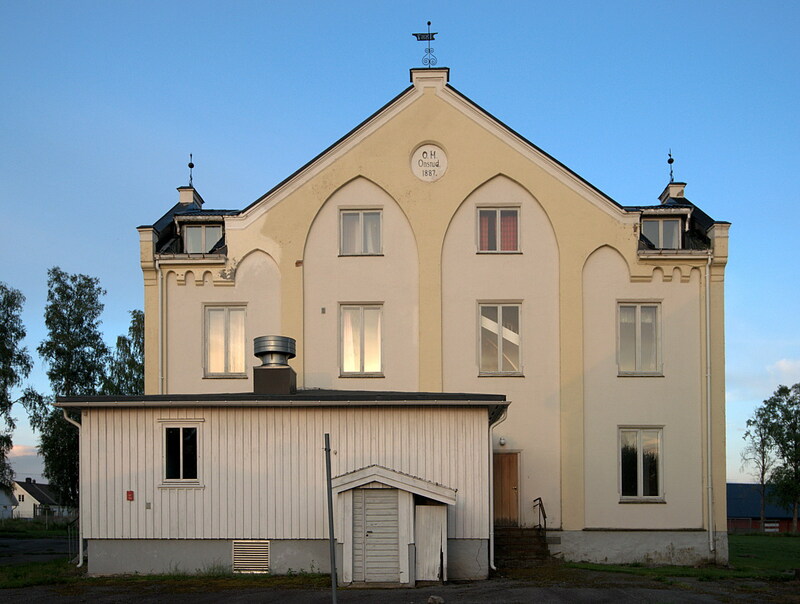 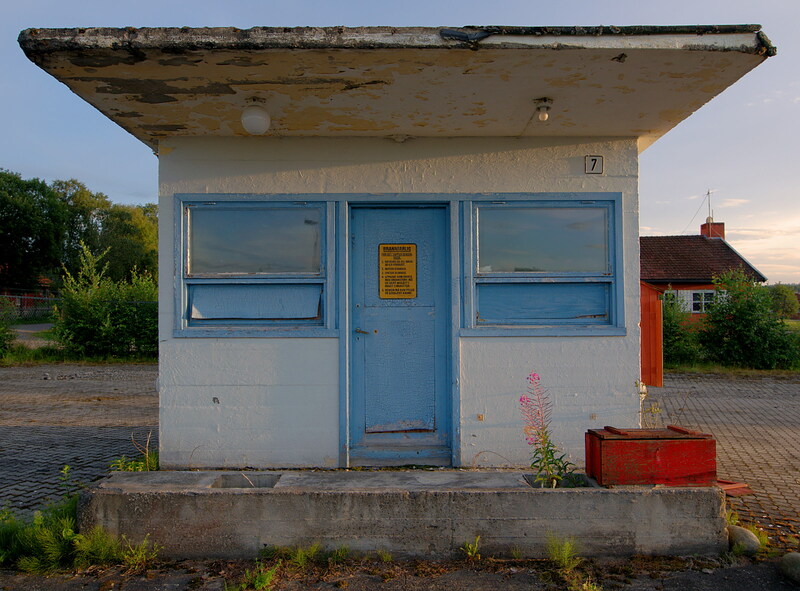 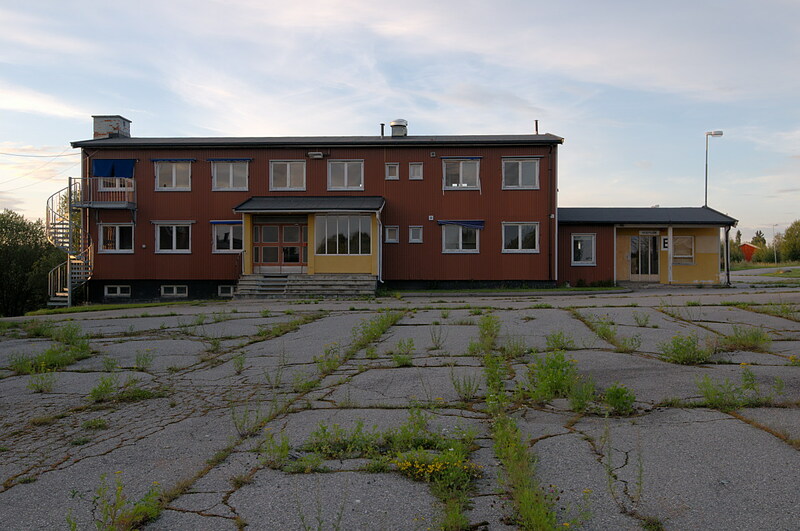 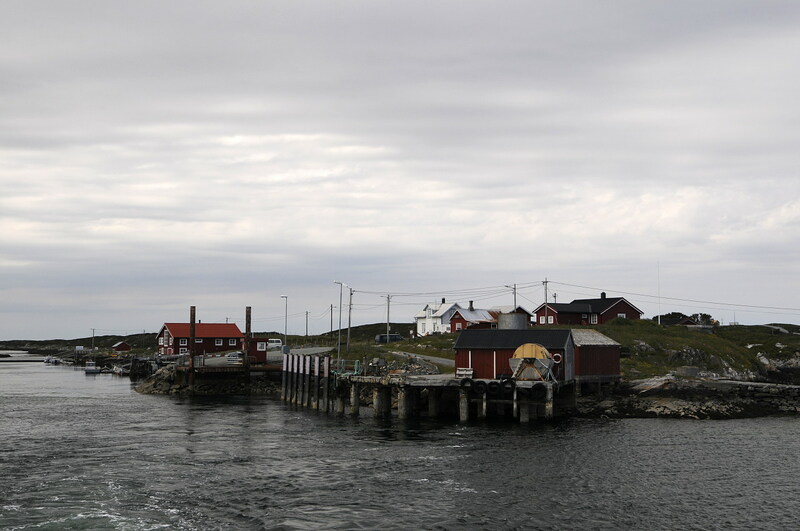 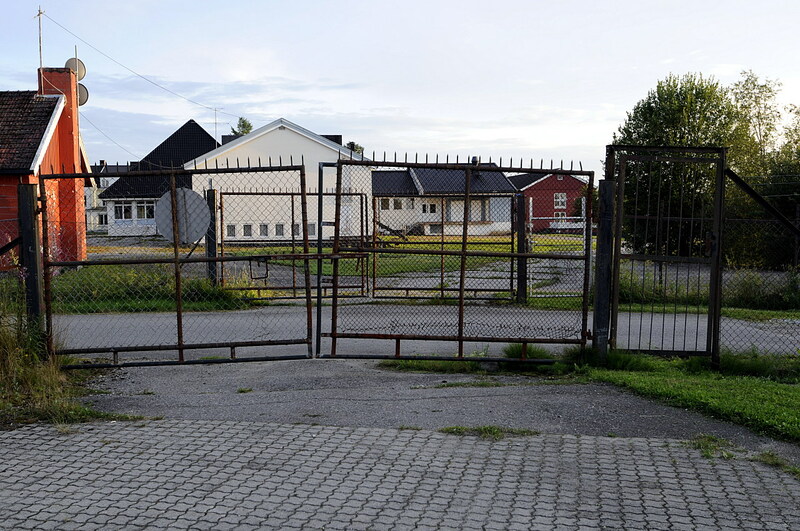 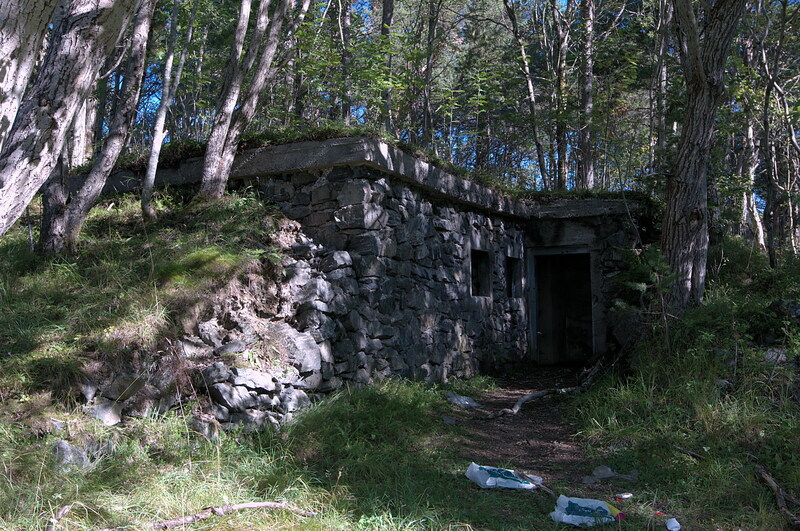 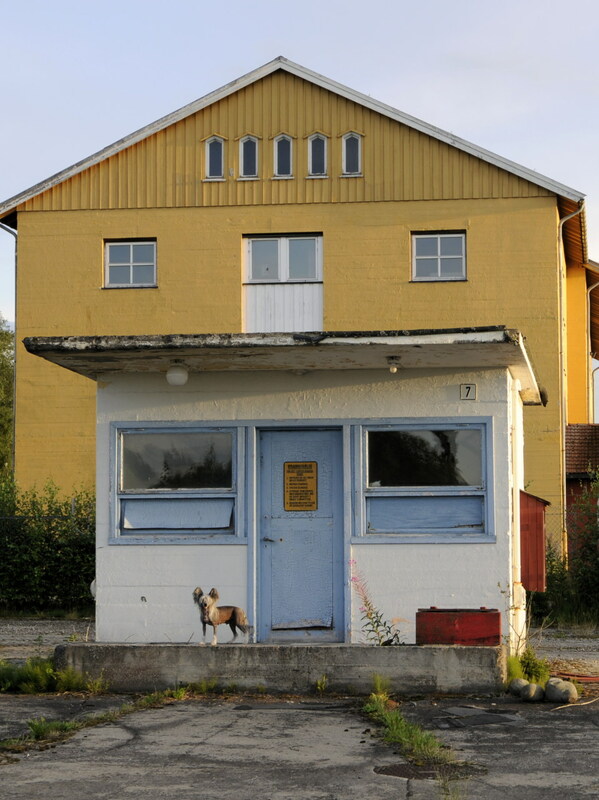 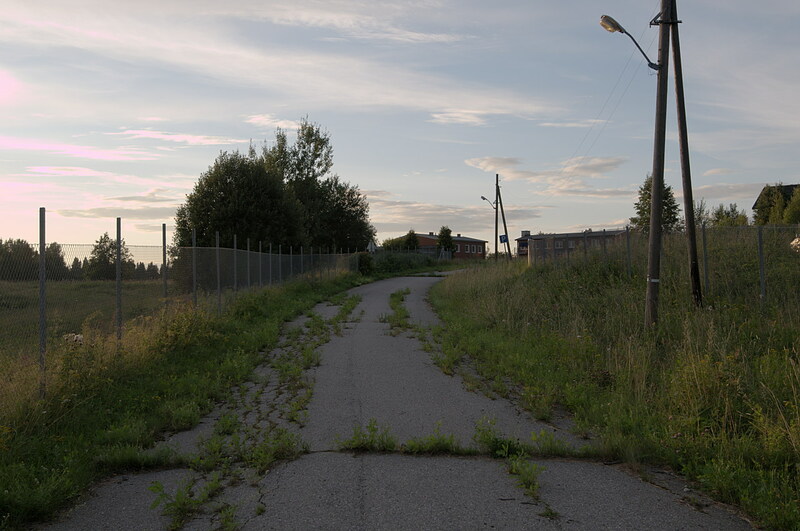 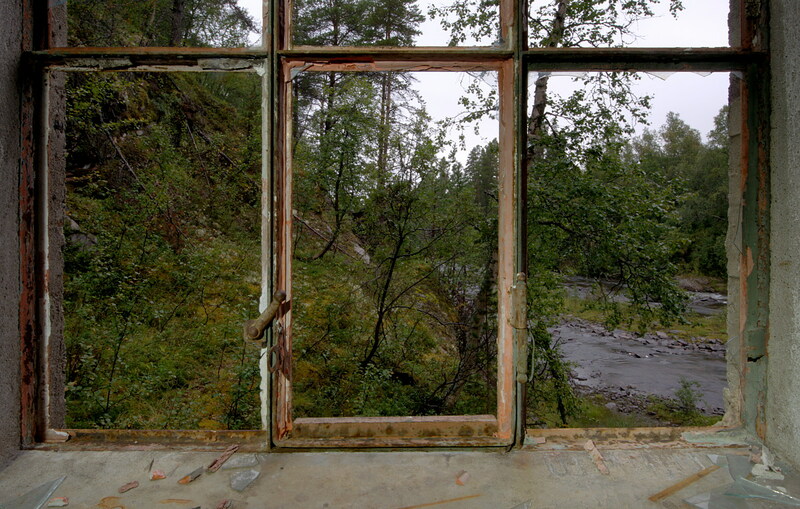 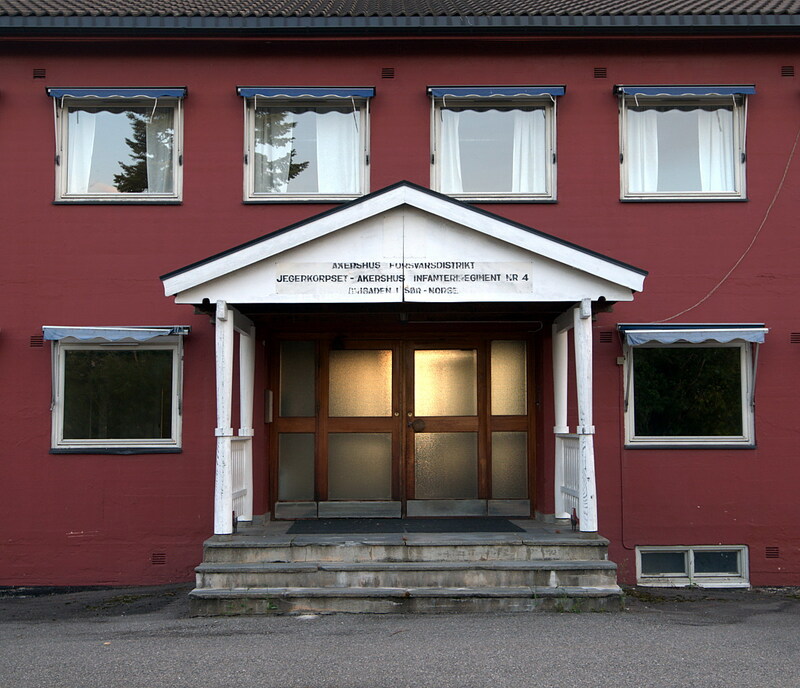 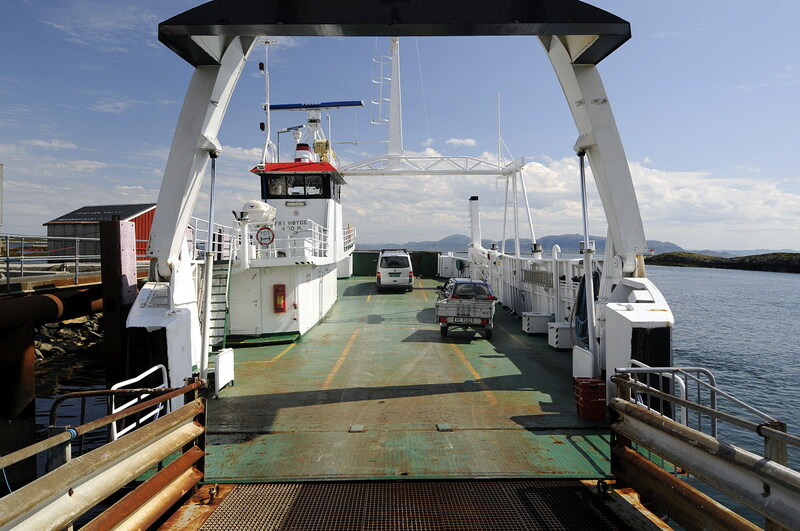 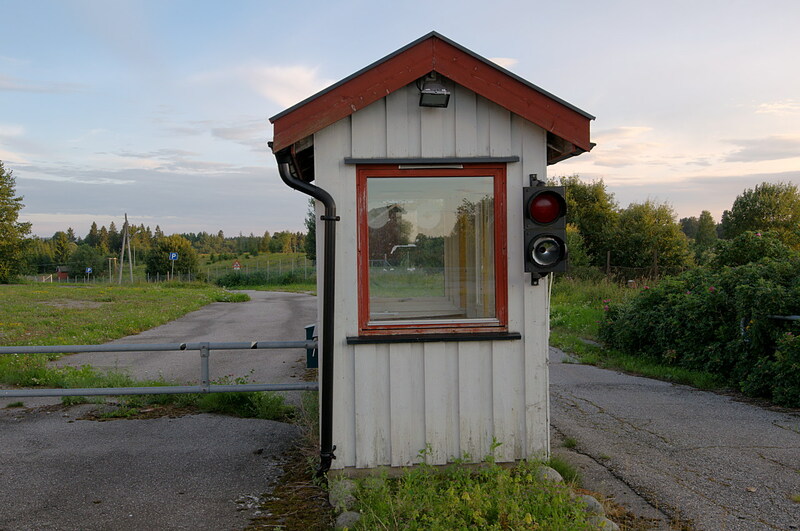 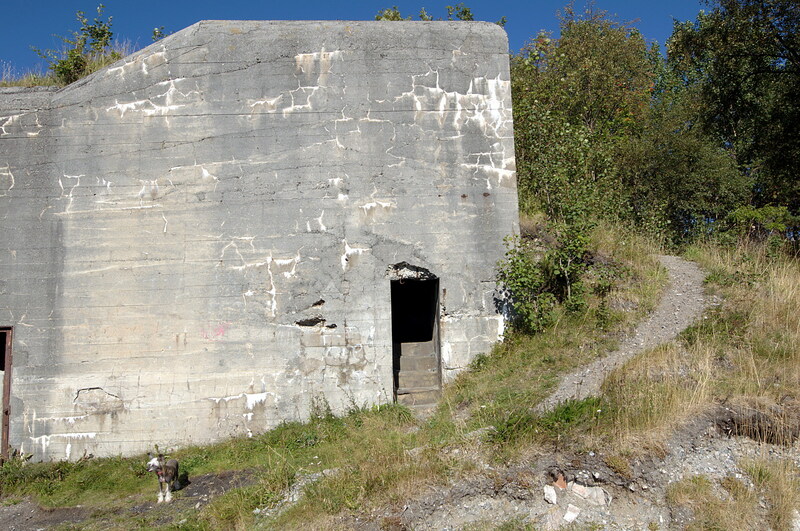 The establishment of MKB 1./505 Jul at Julneset outside of Molde, was started as early as the beginning of may 1940, only one month after the invasion of Norway. 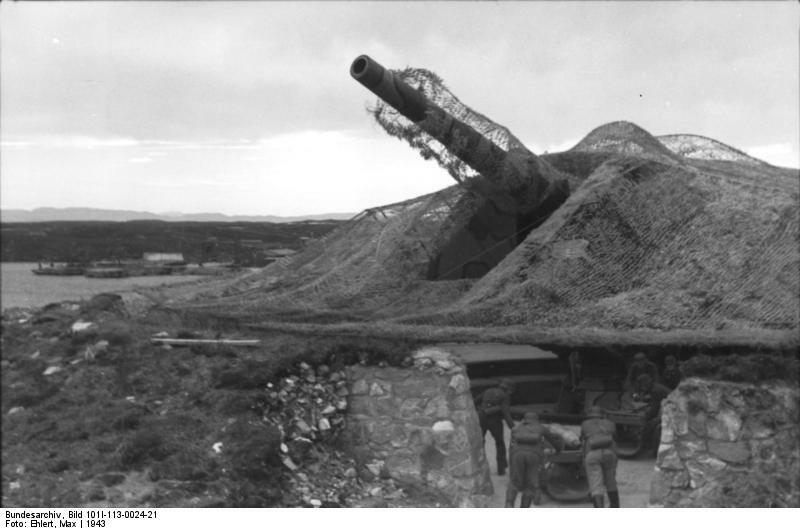 To begin with, it was equipped with 3×10.5cm Uto c/16 L/45 canons with a range of 15400 meters. 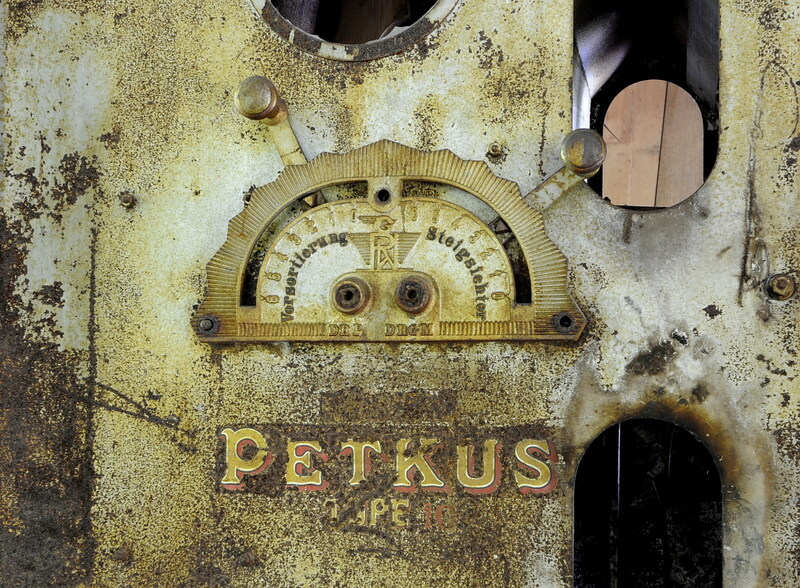 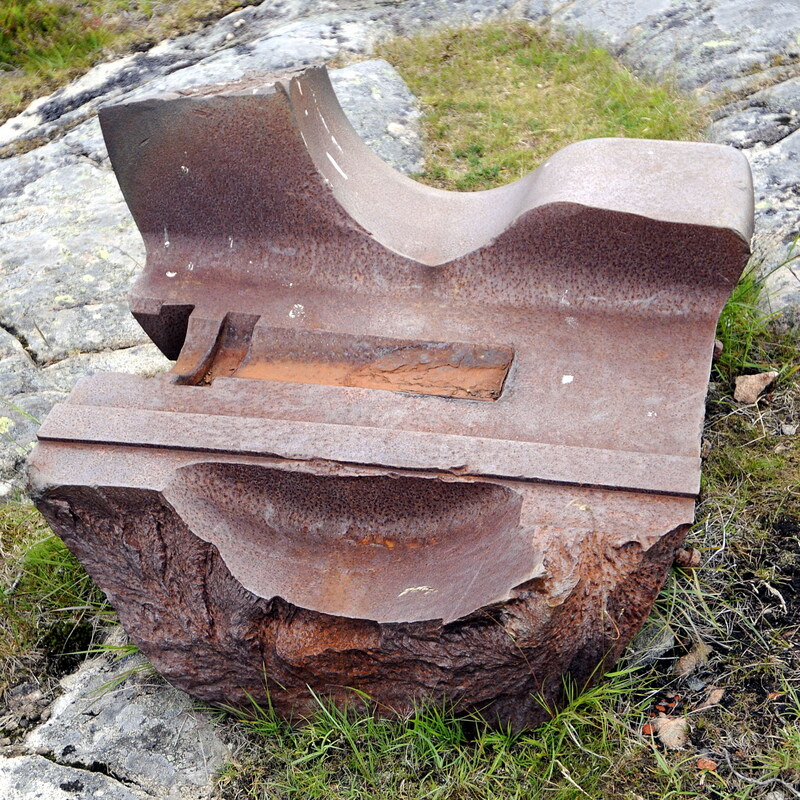 These came from the German vessel «Albatros» which ran aground in the Oslo fjord during the invasion and was later declared unsalvageable. 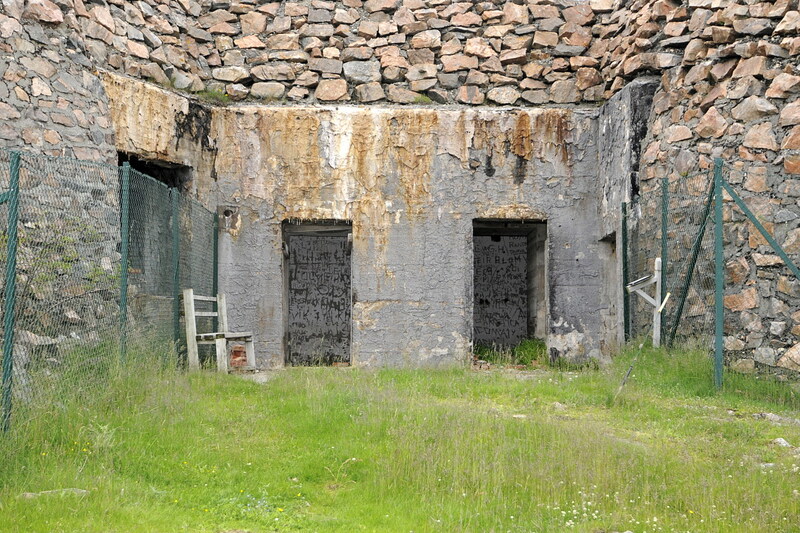 In 1943 the battery was reinforced with an extra canon in addition to the 3 it already had from «Albatros». 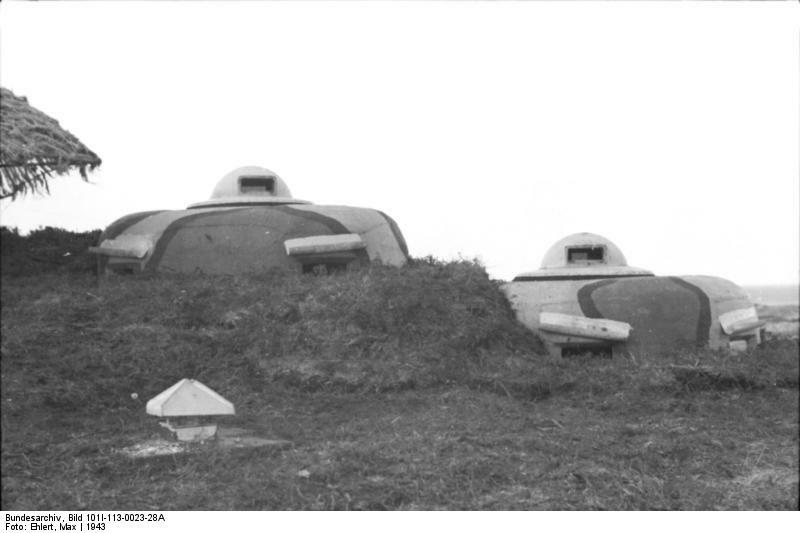 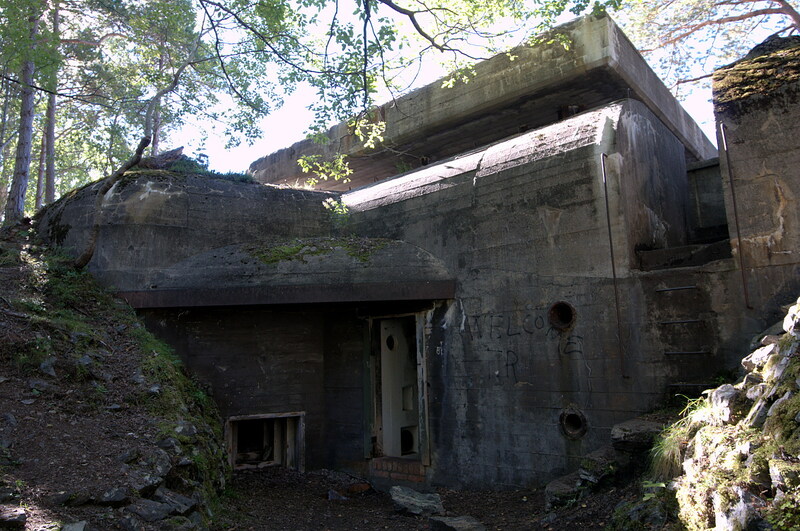 The battery was also equipped with 13×20 mm AA-guns and 2×7.5 cm Belgian field guns in addition to a number of machine guns, flame throwers and flood lights. 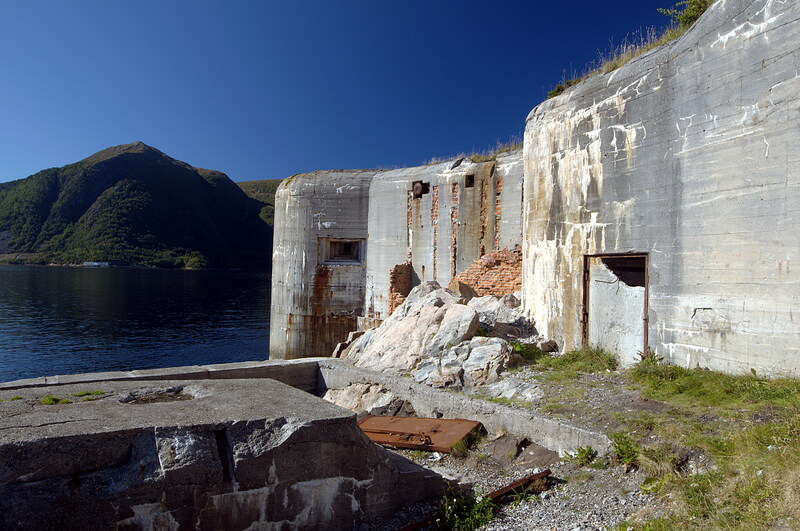 Just 1 km north of Julneset lies Julholmen where the Germans built a torpedo battery, “Torpedobatterie Julholmen”. 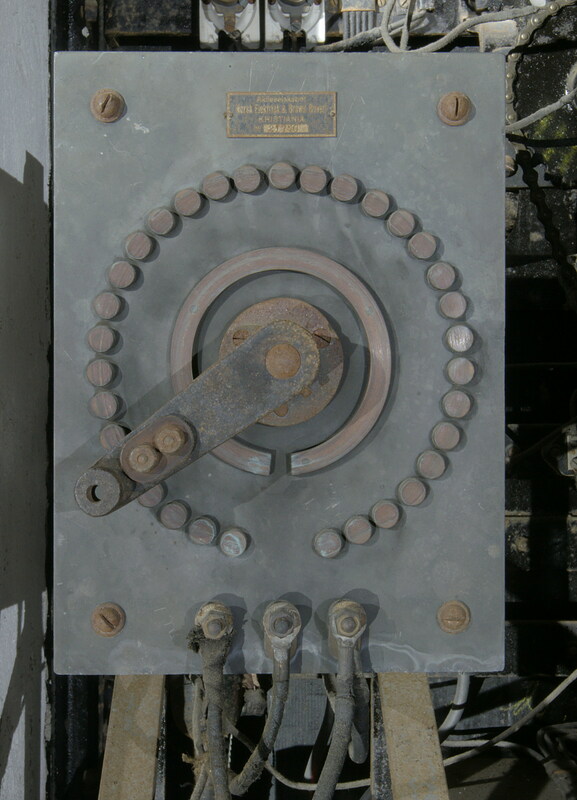 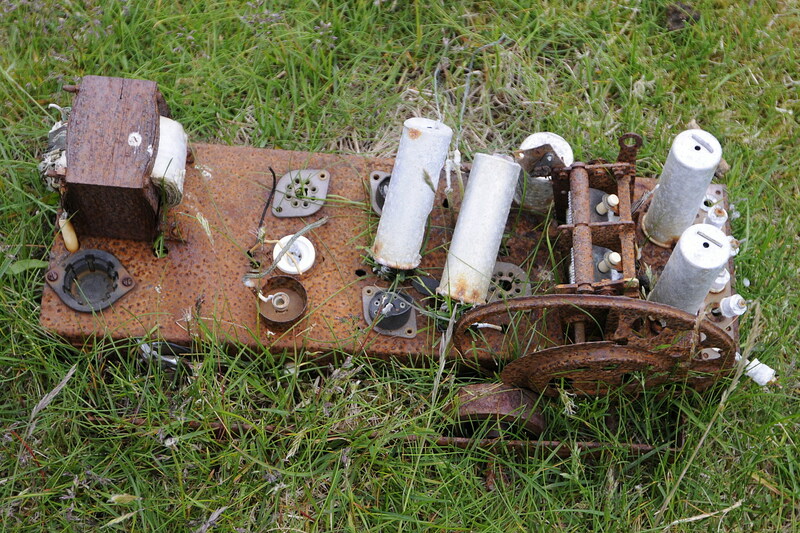 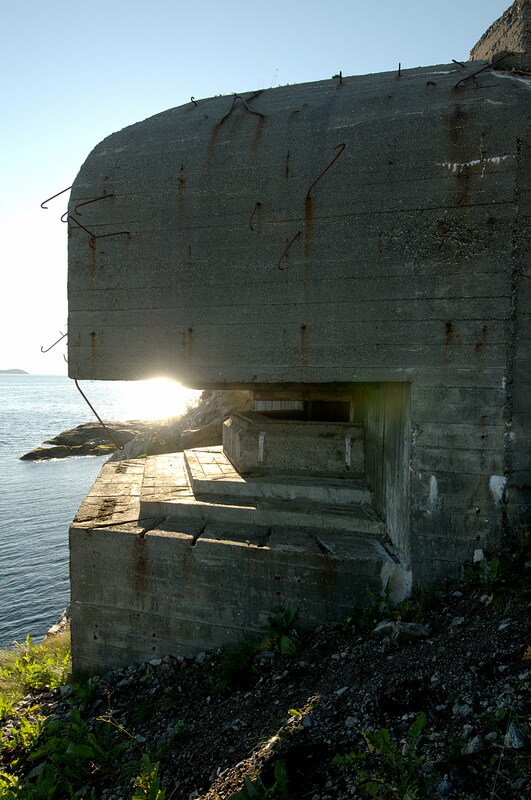 This battery was initially equipped with a Norwegian torpedo canon with 2x45cm torpedo tubes. 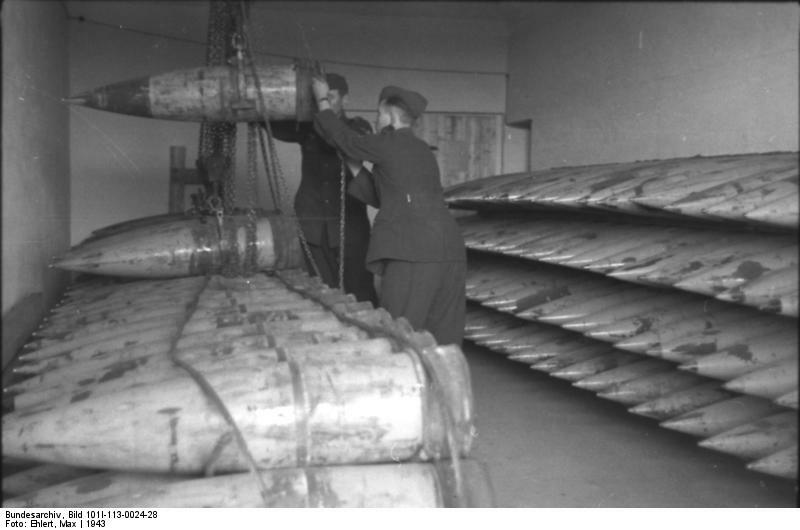 In 1944 this torpedo canon was replaced with a German one, having 2x52cm torpedo tubes. 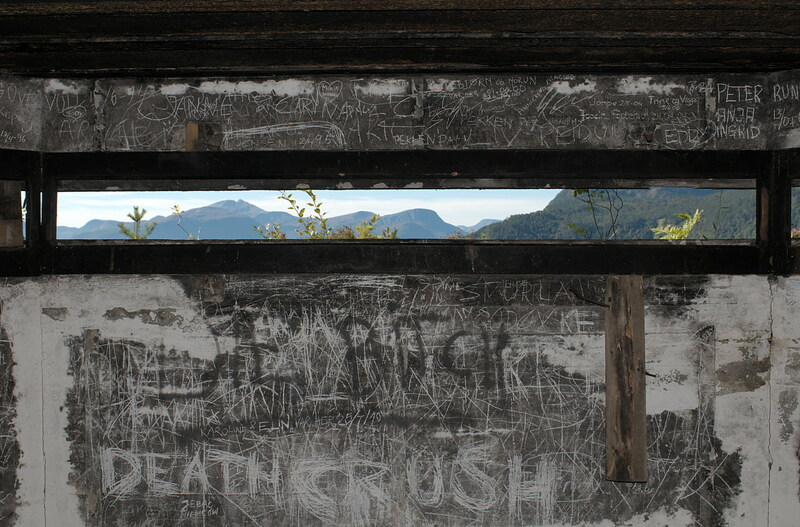 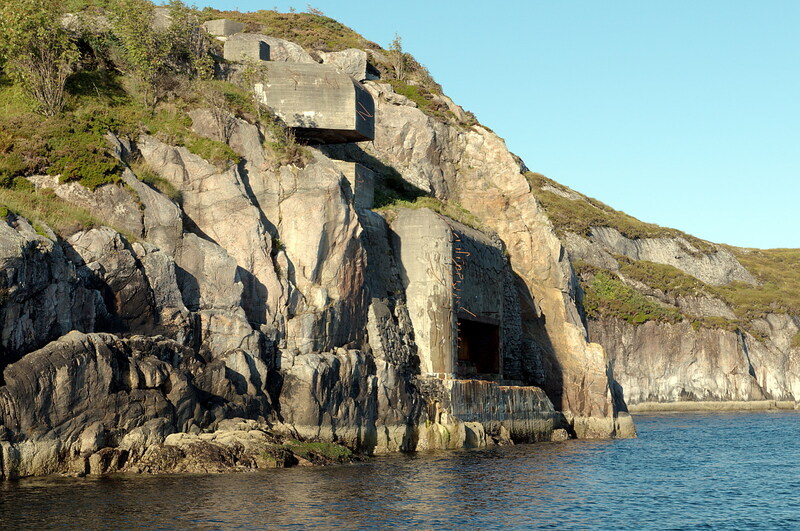 The battery at Julneset, now a nature reserve, shows clear signs of being easily accessible, with quite a lot of graffiti and other vandalism so I didn’t spend much time here, but it’s well worth a visit, not the least due to it’s unique command bunker. 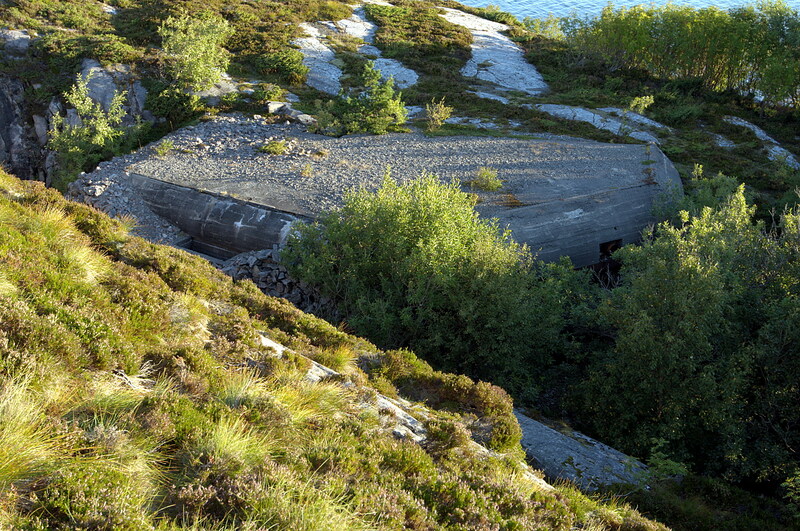 The torpedo battery at Julholmen is not quite as easily accessible and what little remains inside it is in surprisingly good shape with little rust etc. 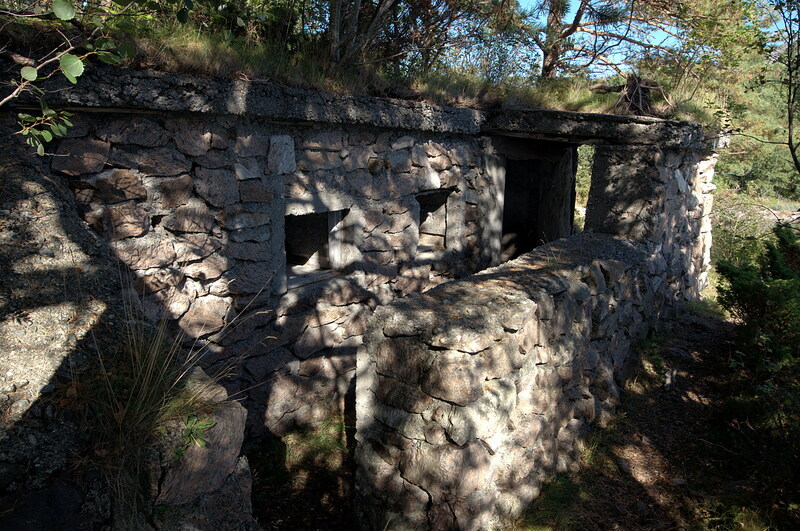 Although it’s a 1-2km walk from the road through quite dense forest, there is a path leading most of the way out to the battery, if you can find it (which I didn’t on the way out, thus spending twice the time getting out there as was strictly necessary). 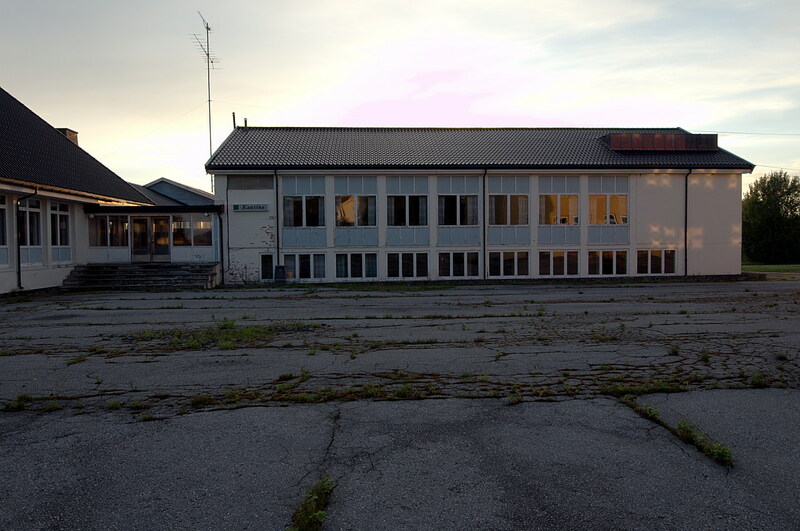 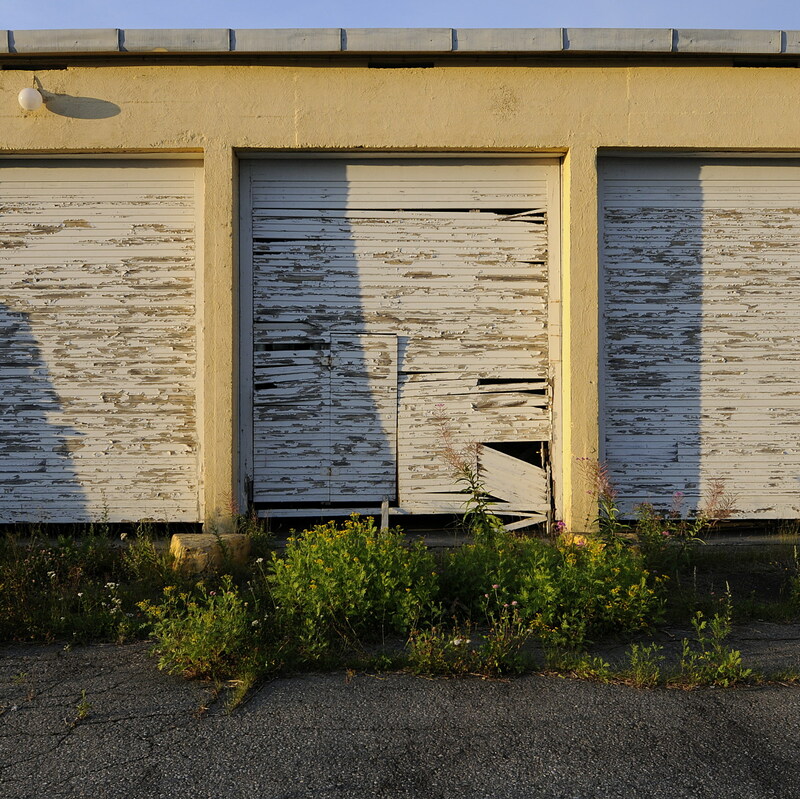 The building looks massive from the outside, yet is surprisingly small on the inside. 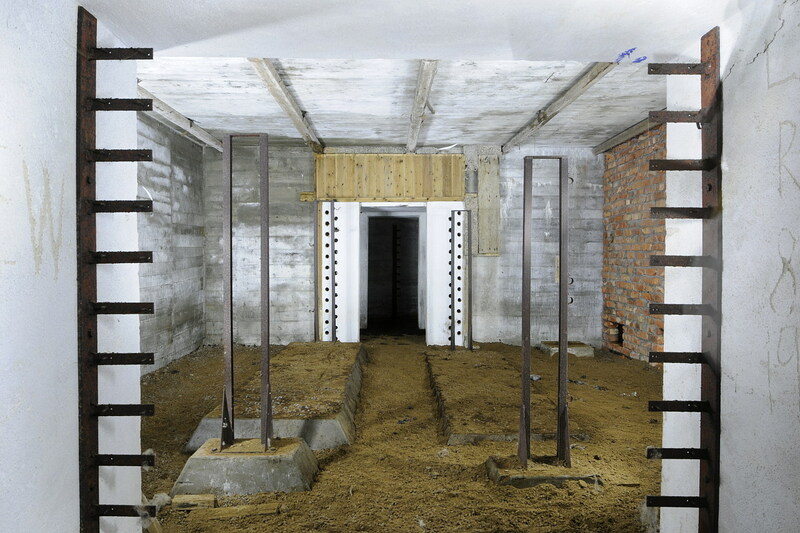 A reasonable explanation for this, is probably the 2 meter walls of reinforced concrete. 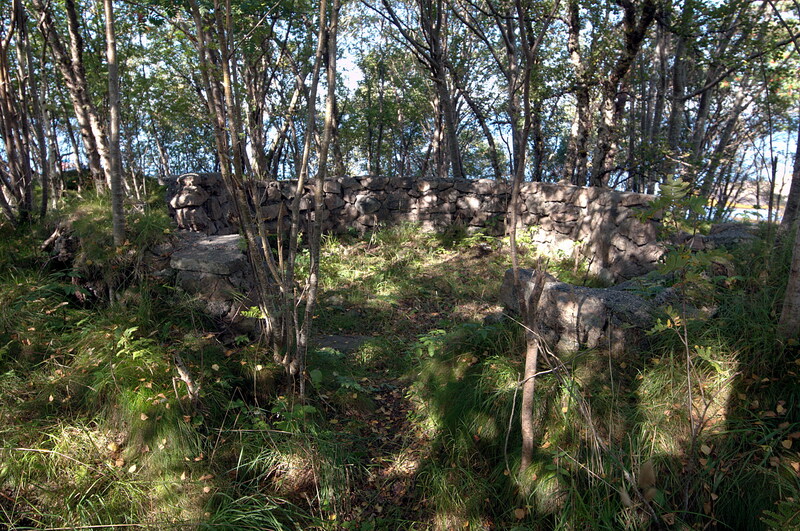 Foundations of the barracks at Julholmen. 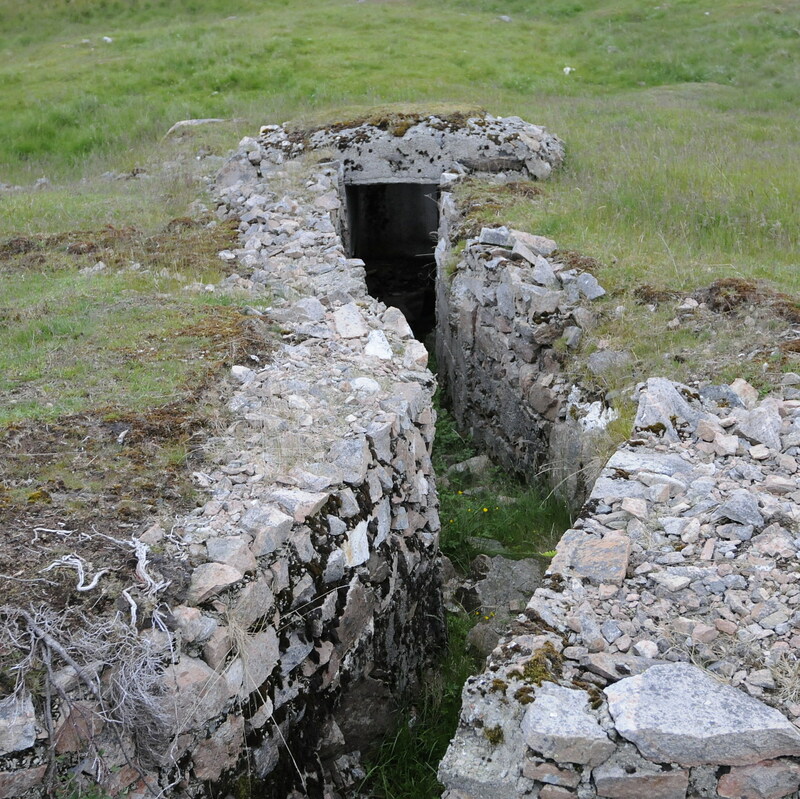 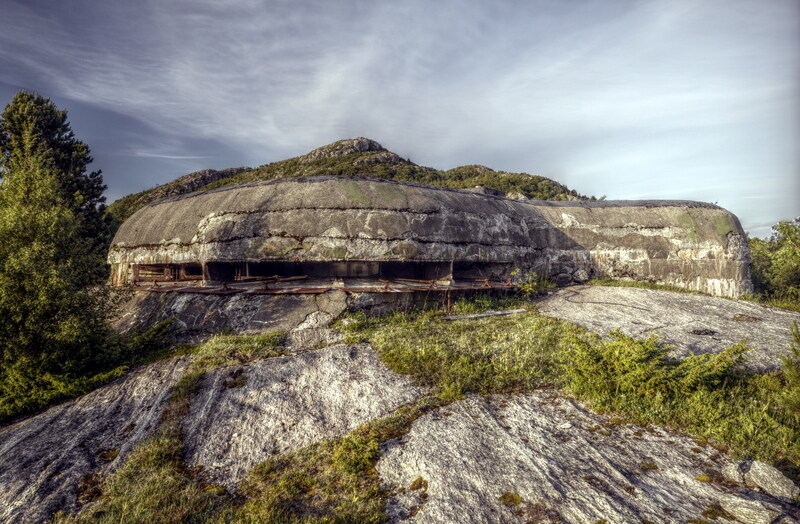 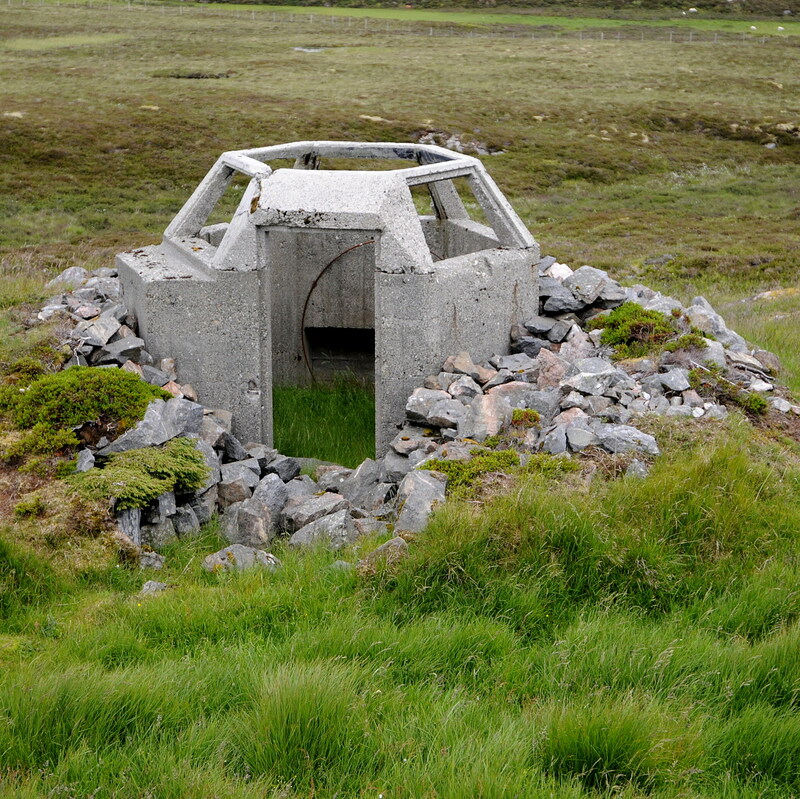 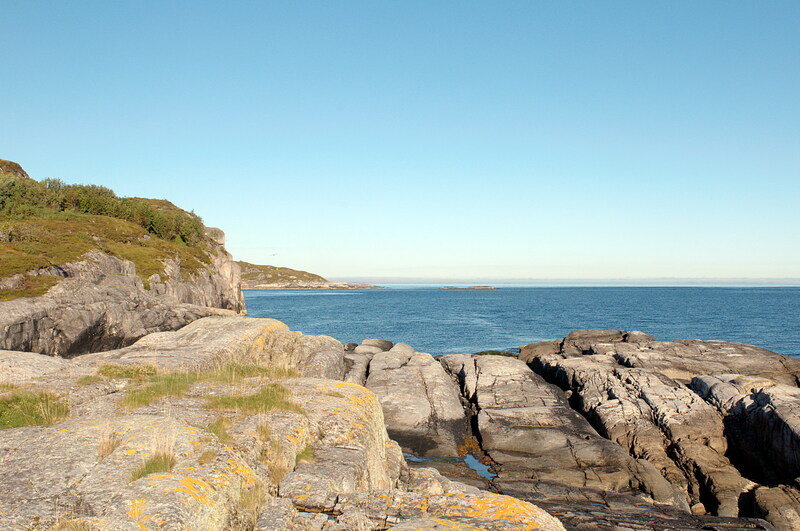 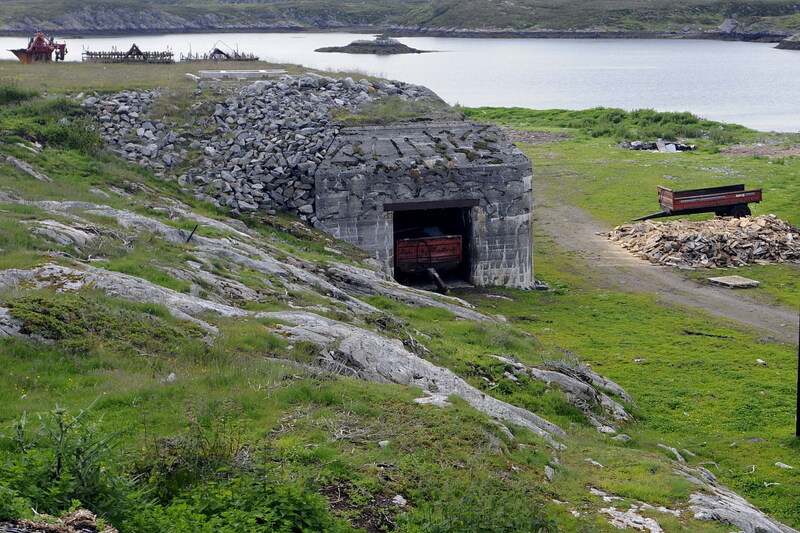 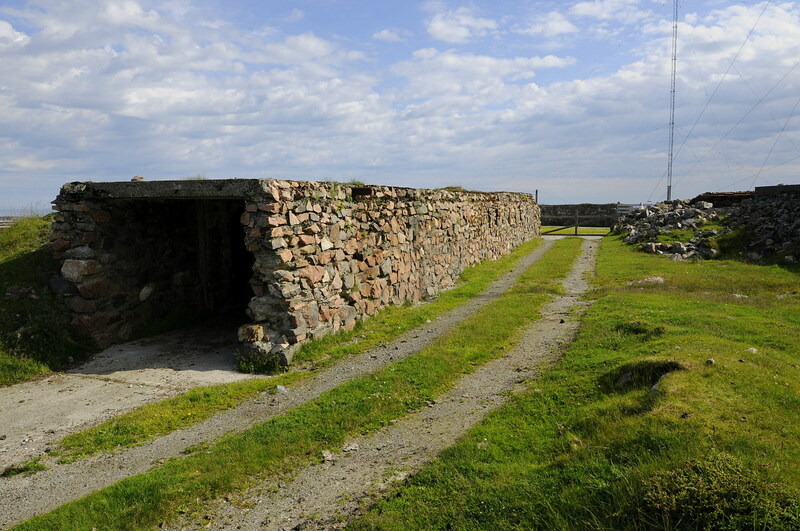 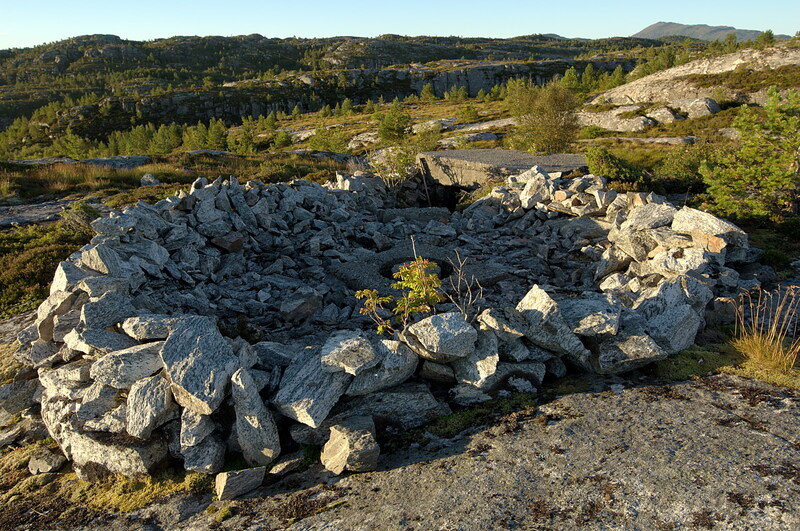 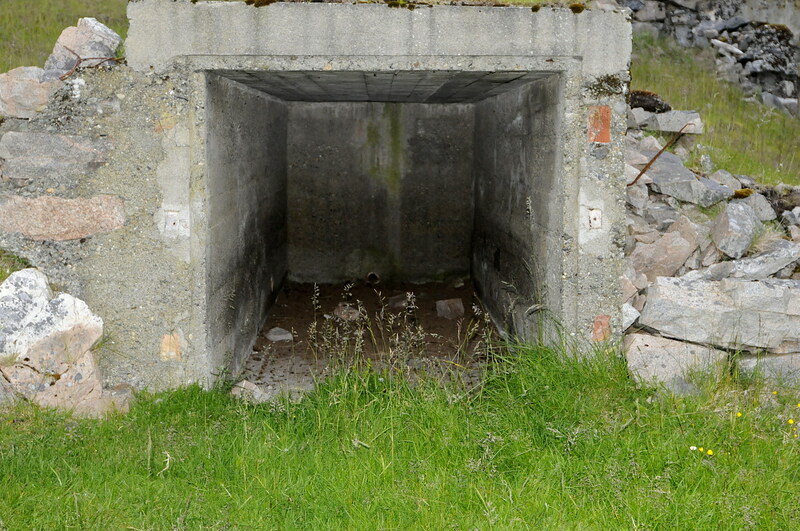 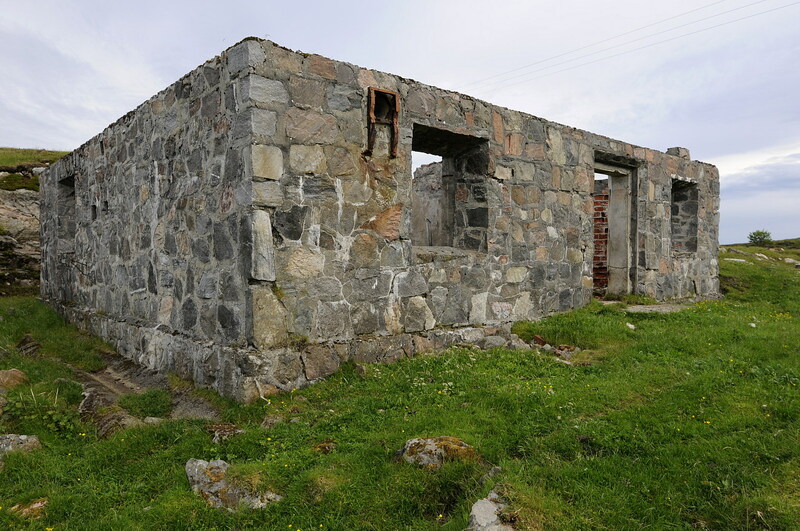 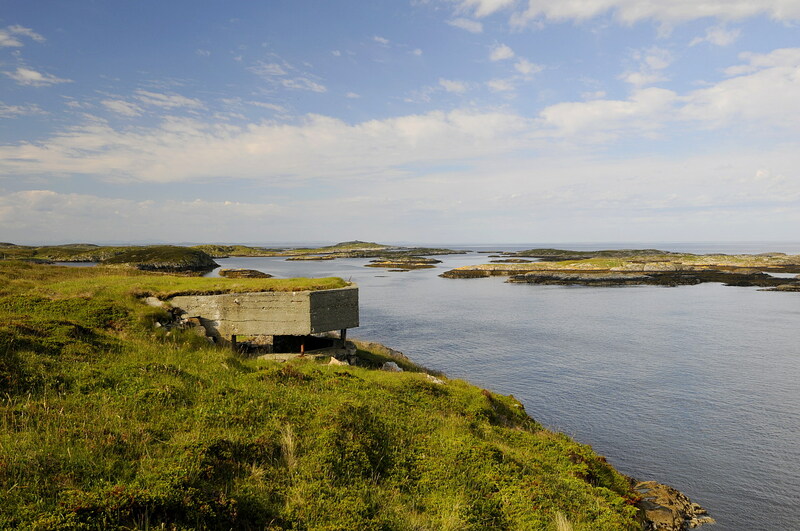 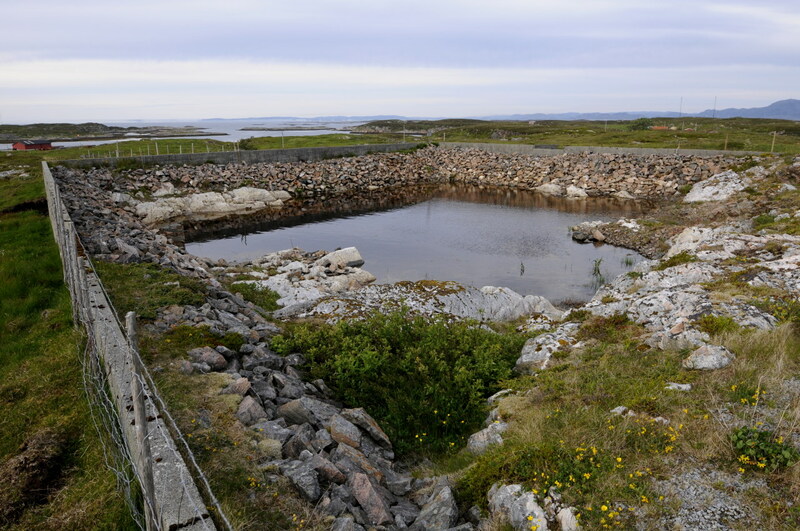 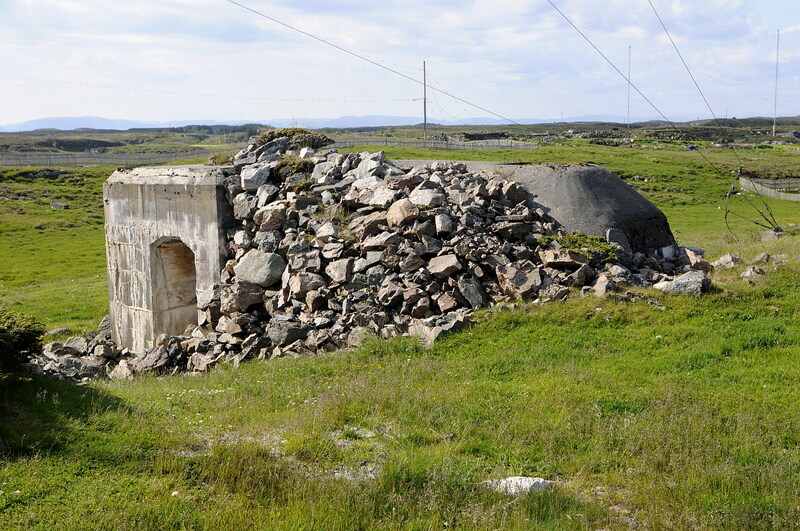 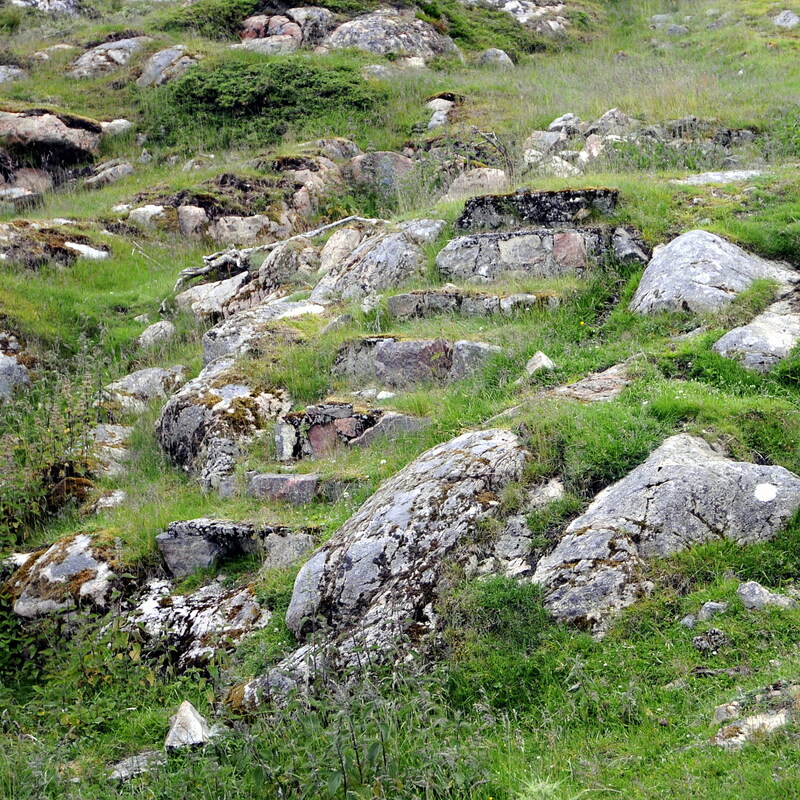 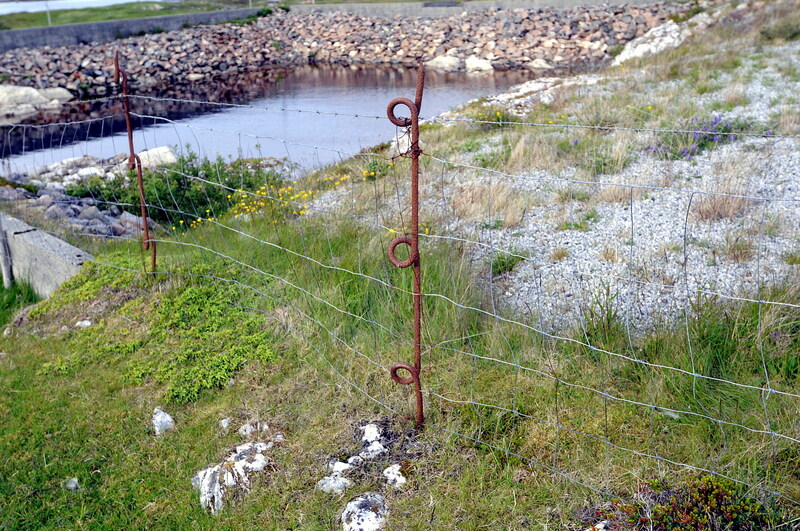 This torpedo battery which is located on the cliffs just outside of Kristiansund was built by the Germans during World War II as part of Hitlers Atlantic wall, an extensive system of coastal fortifications built by the German Third Reich in 1942 until 1944 along the western coast of Europe to defend against an anticipated Allied invasion of the mainland from Great Britain. 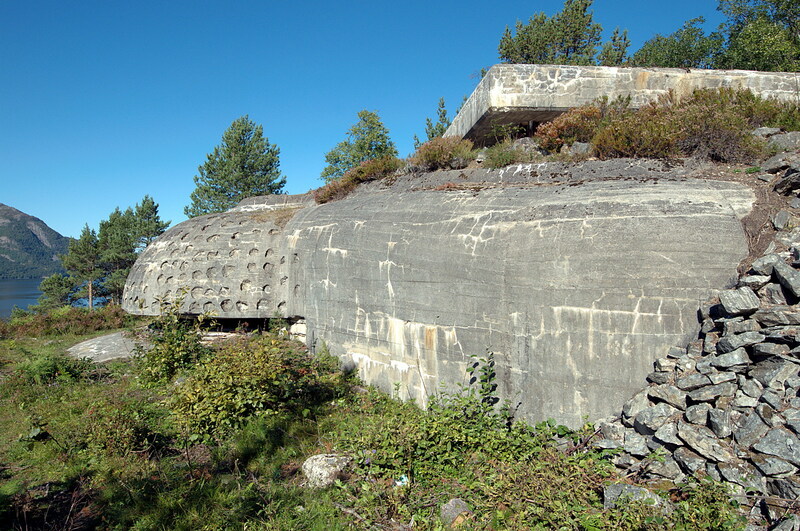 It is an interesting and huge structure, partly built with concrete (St, meaning a minimum wall thickness of 2 meters) and partly built into the rock and cliff face itself. 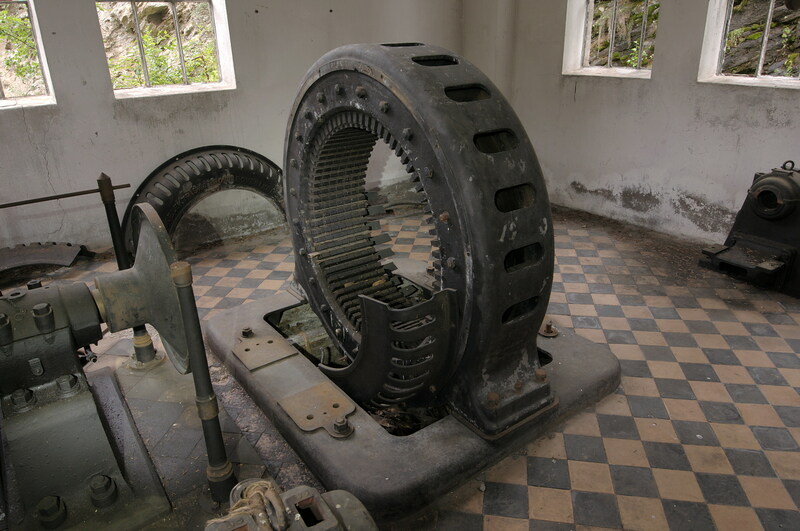 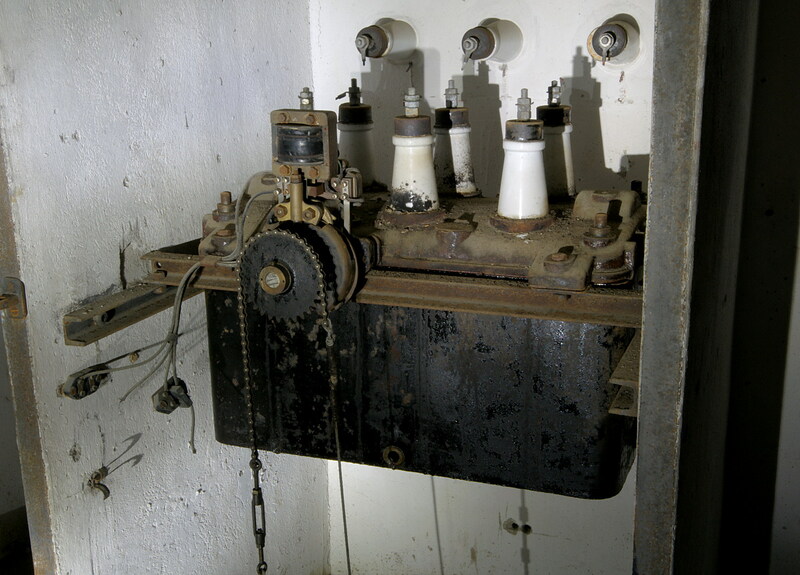 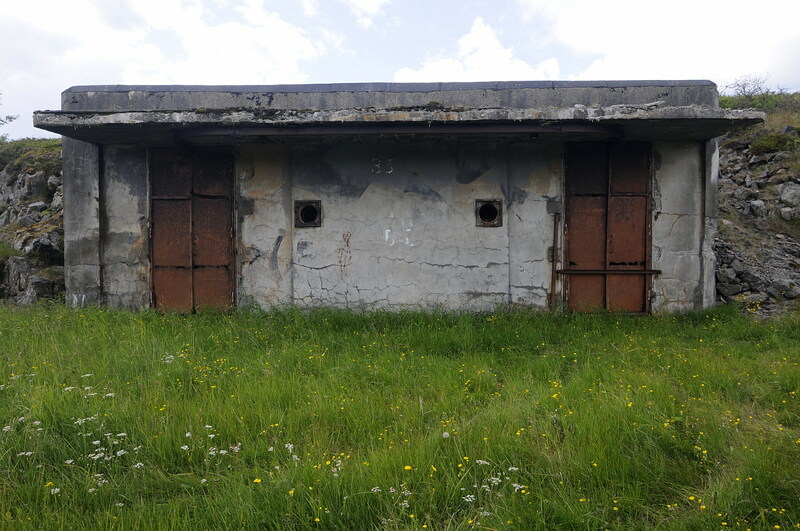 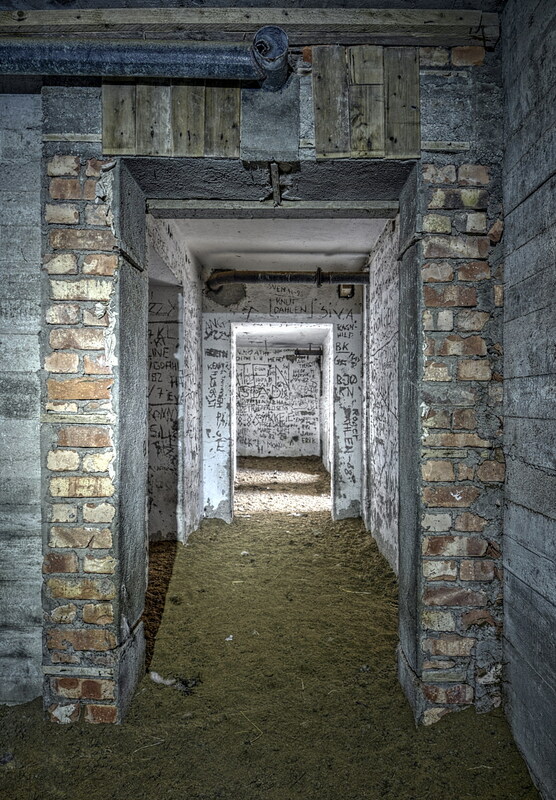 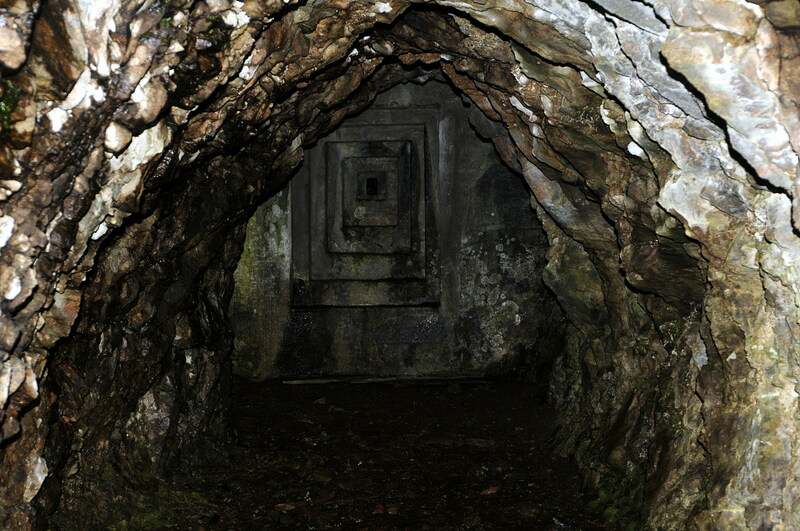 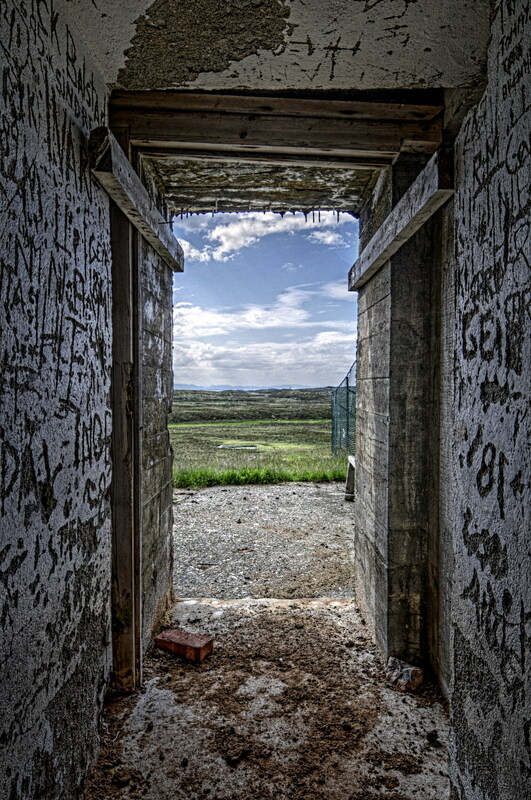 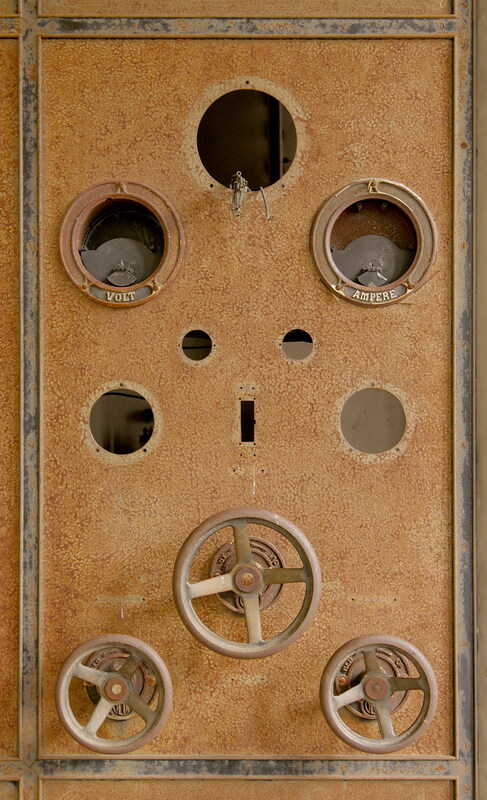 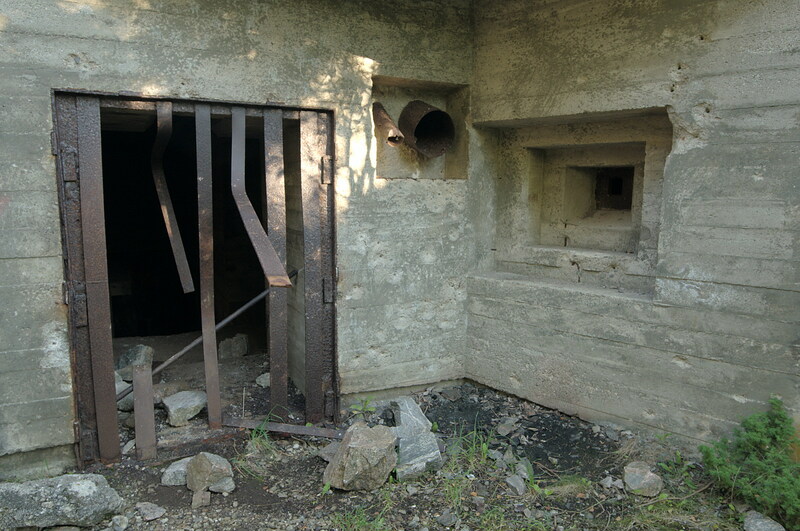 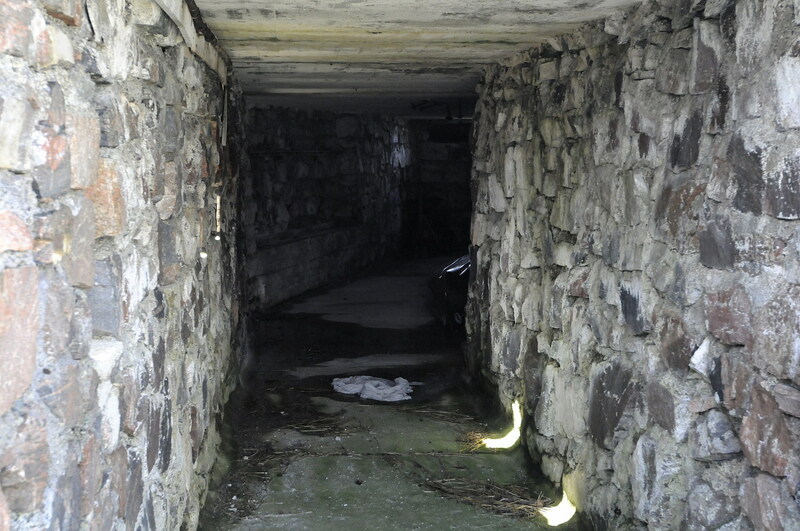 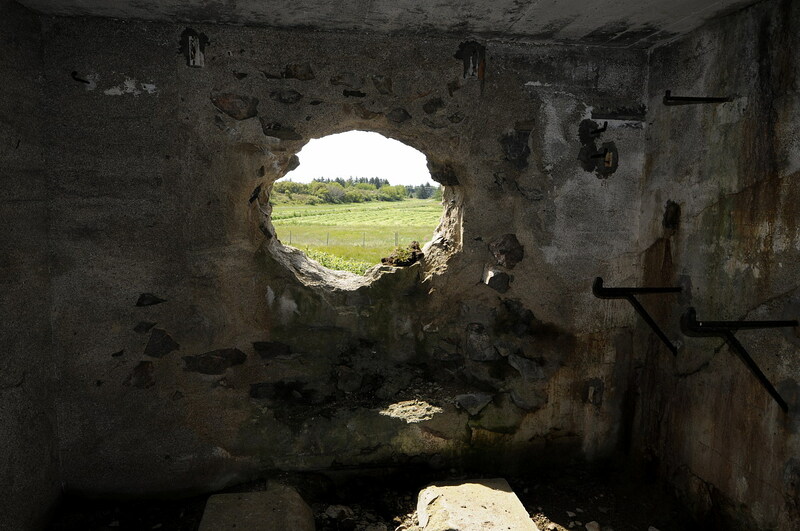 The battery was finished in December 1944 but never saw any action before the end of the war, only six months later. 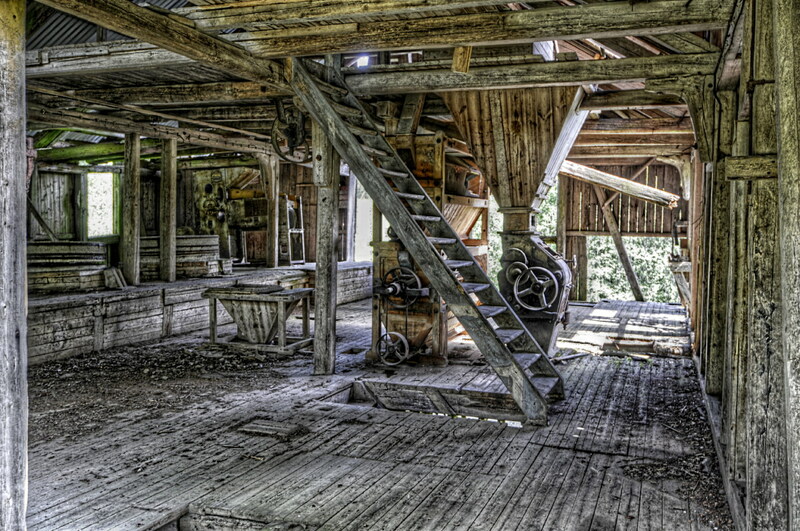 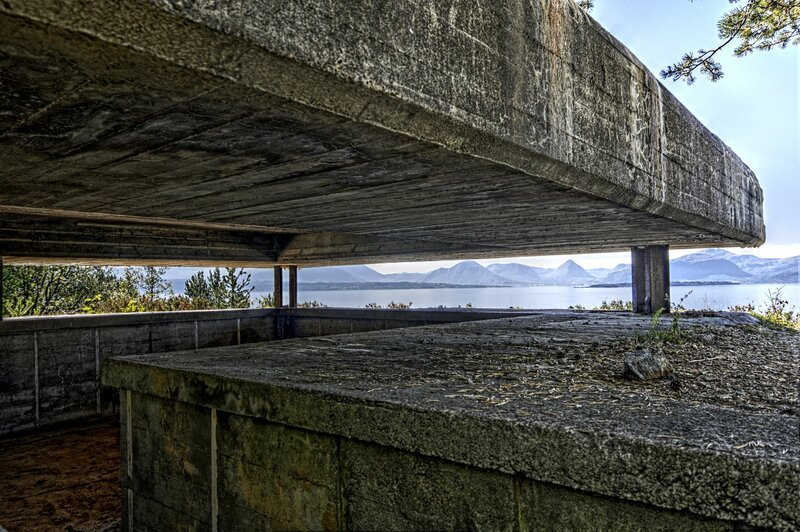 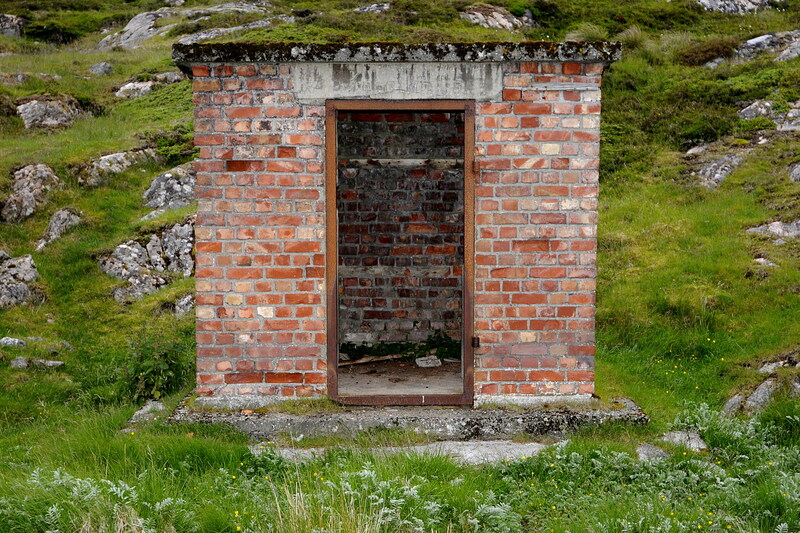 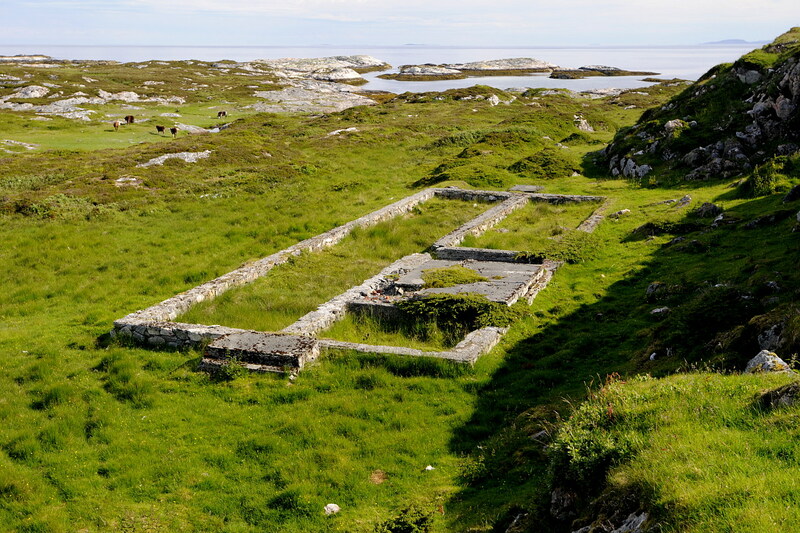 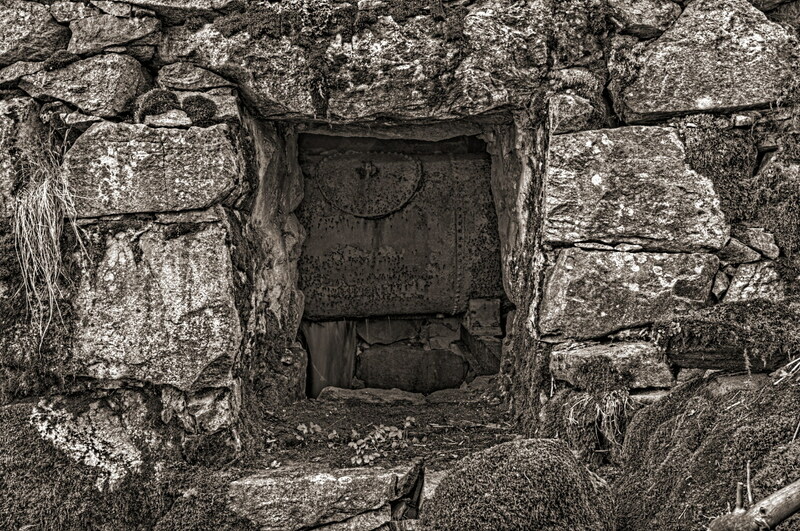 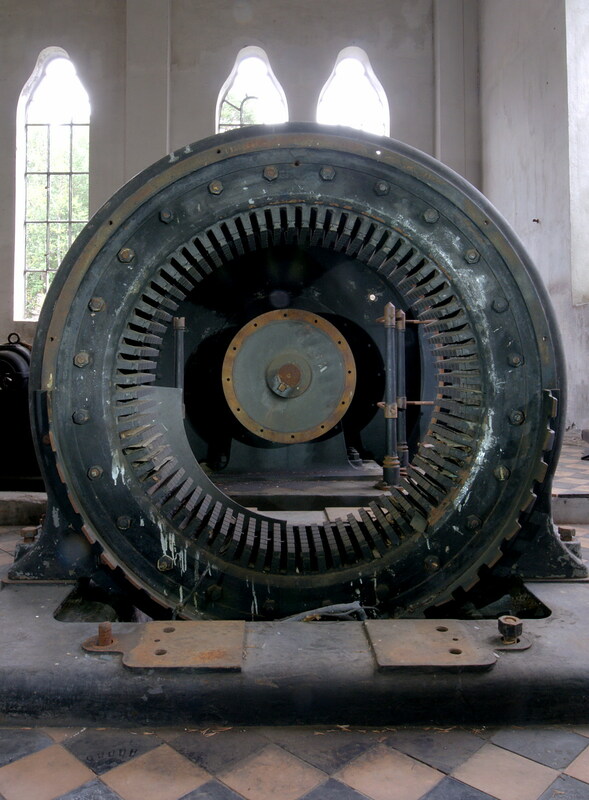 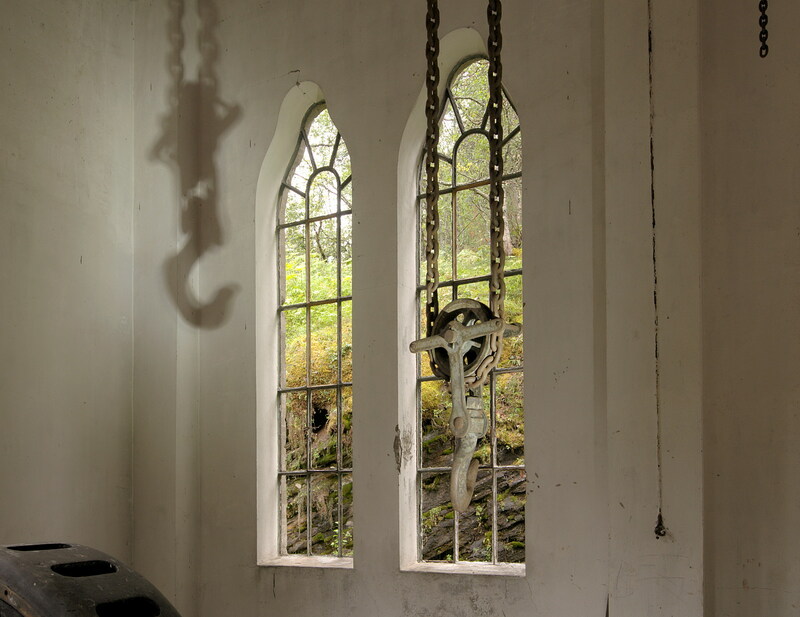 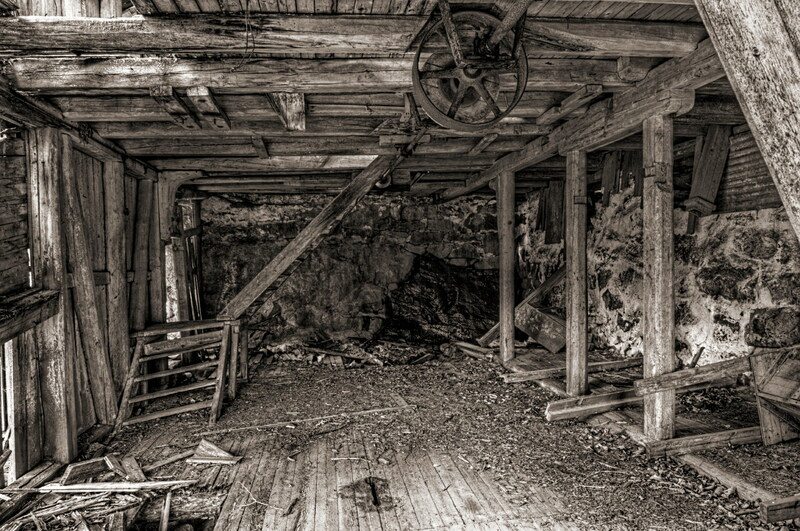 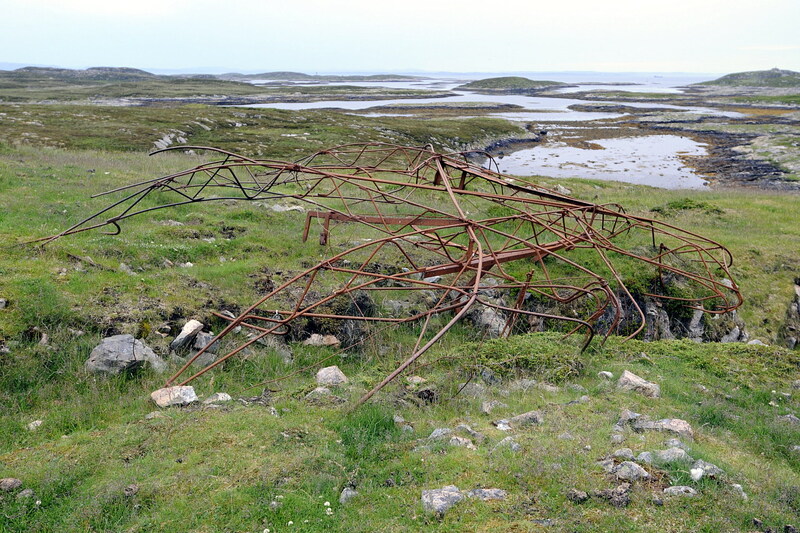 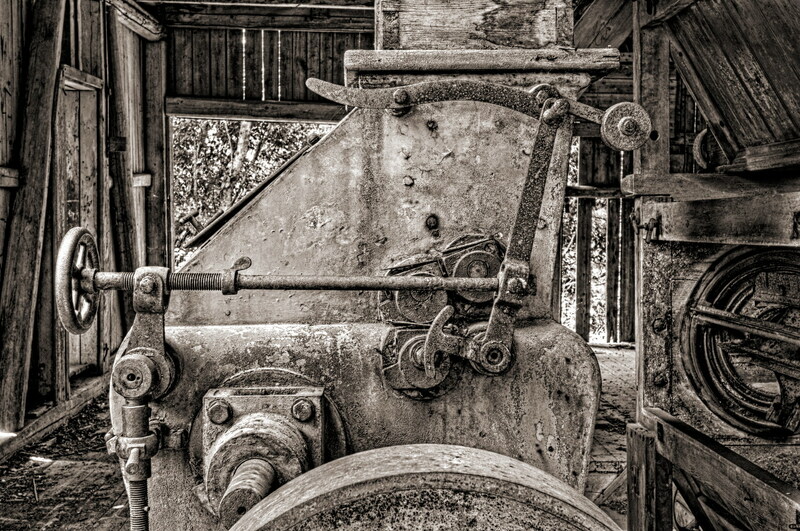 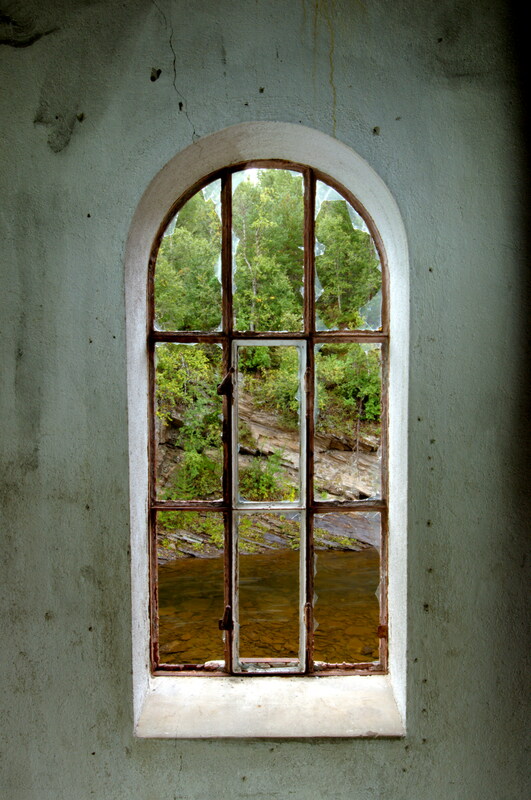 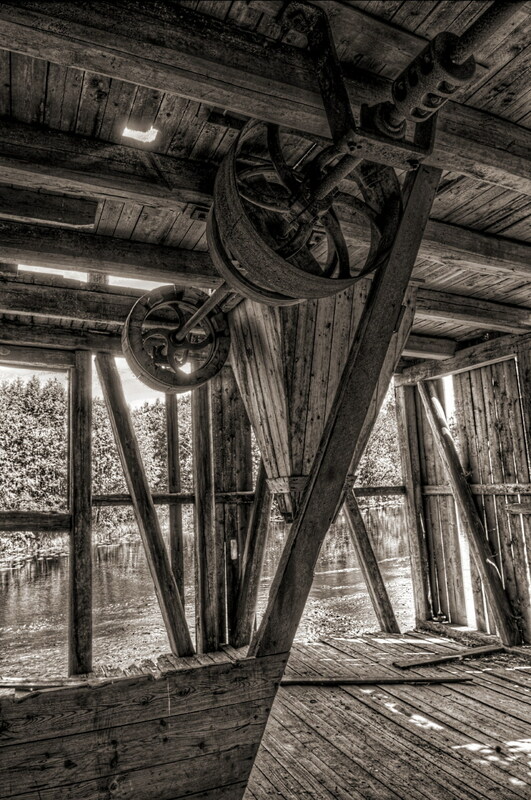 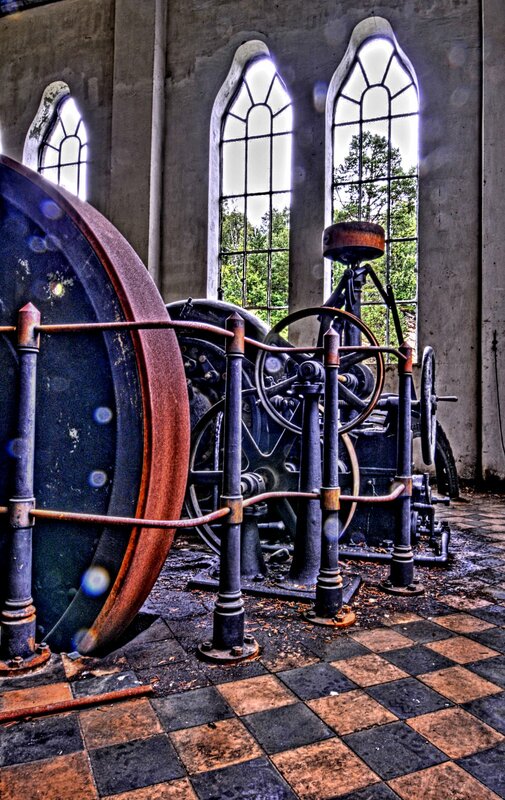 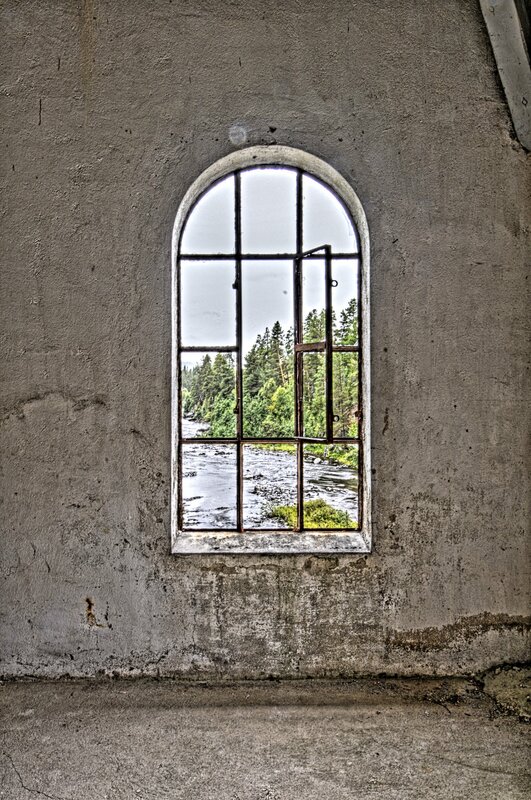 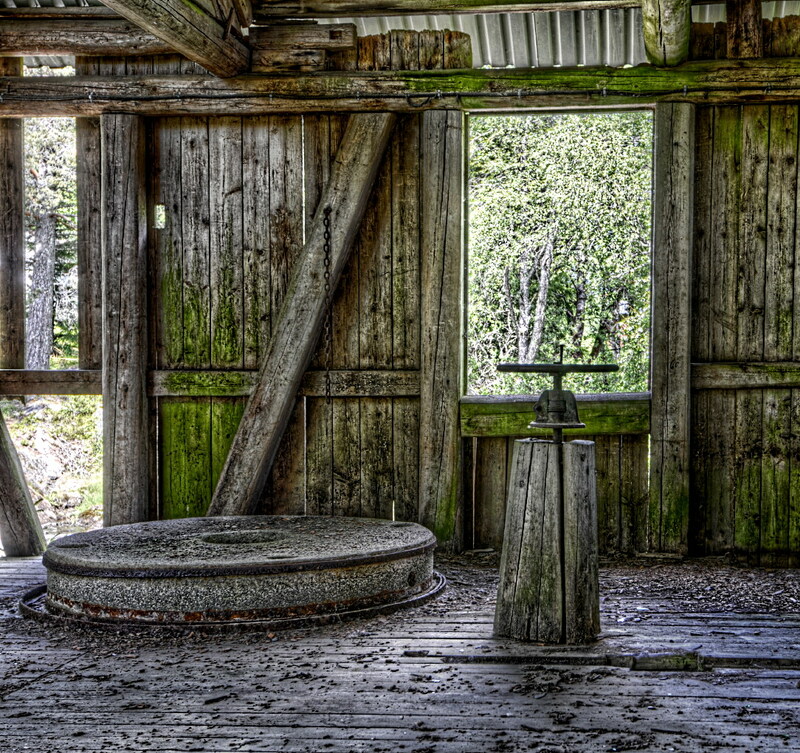 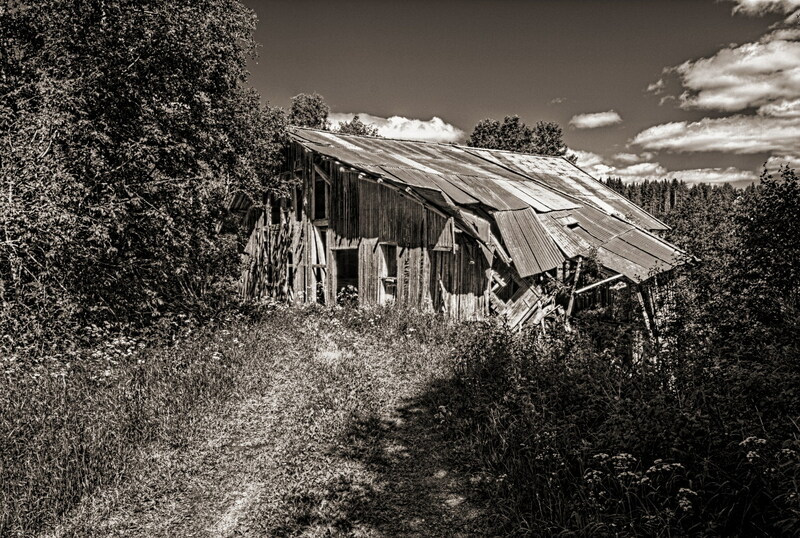 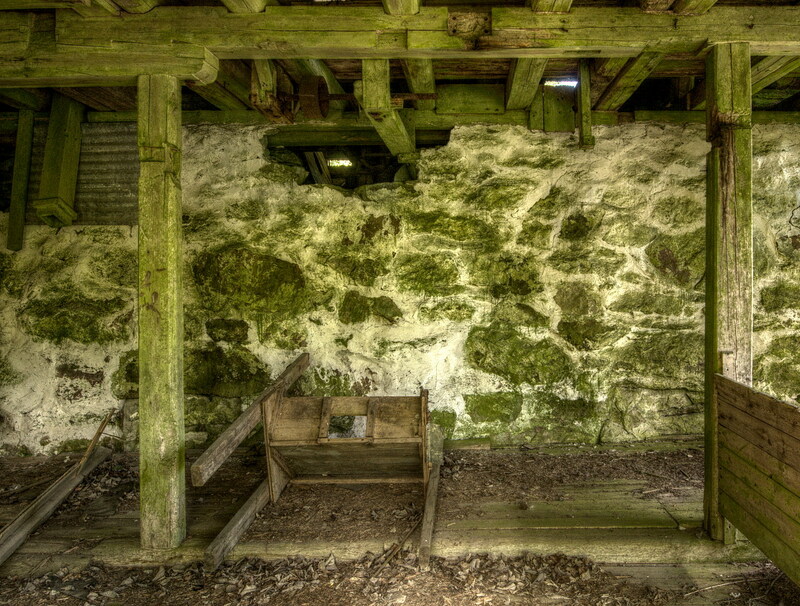 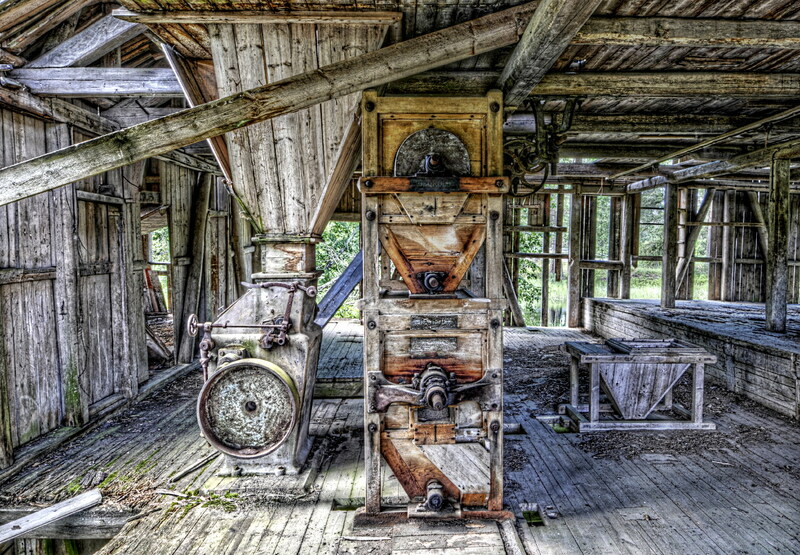 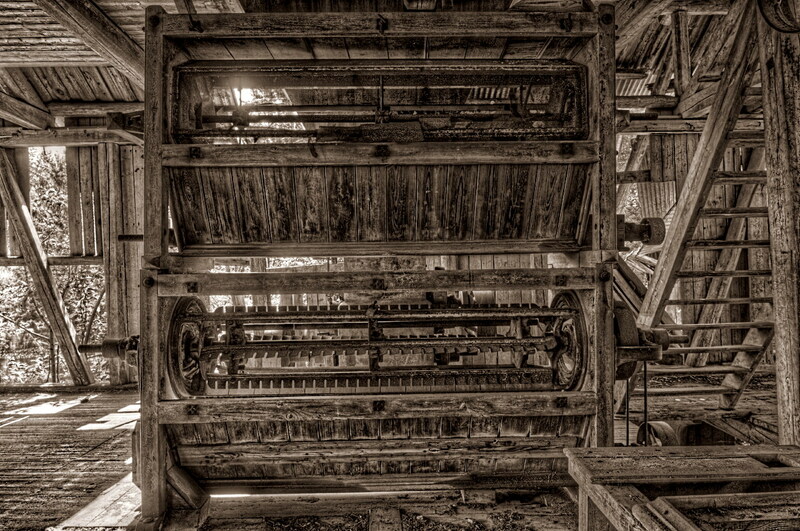 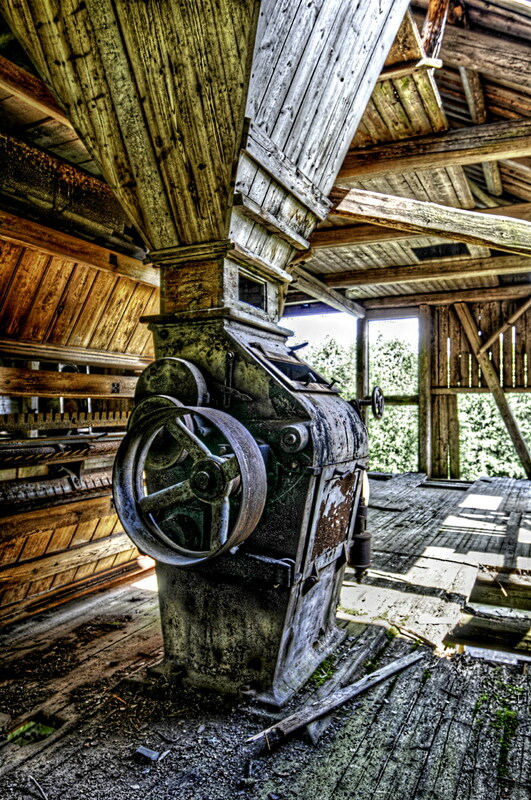 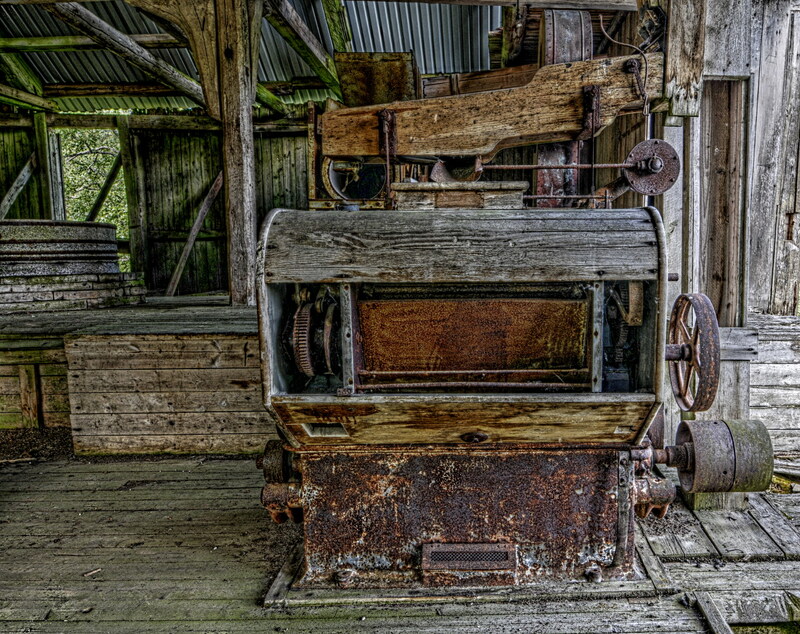 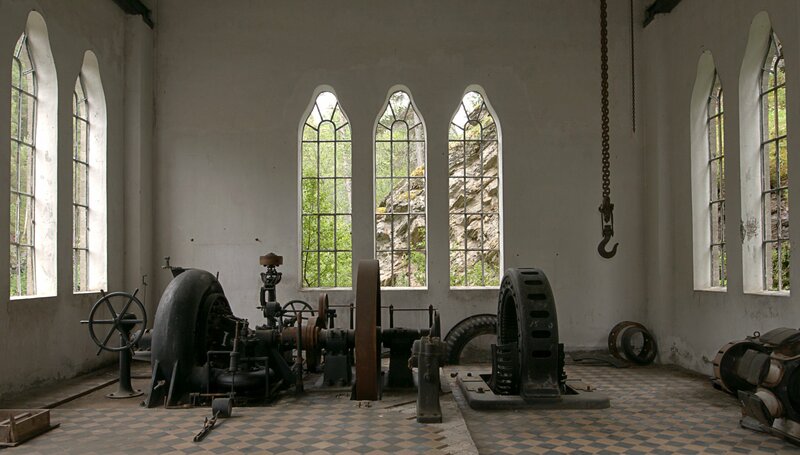 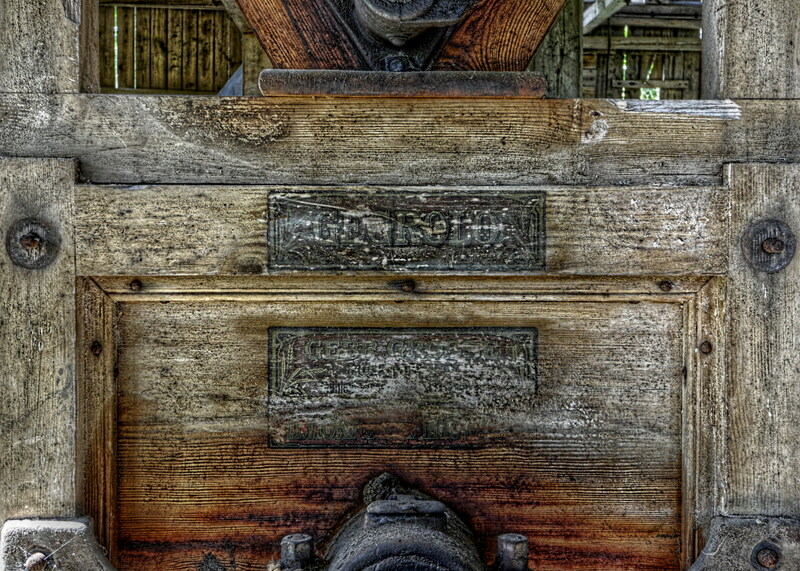 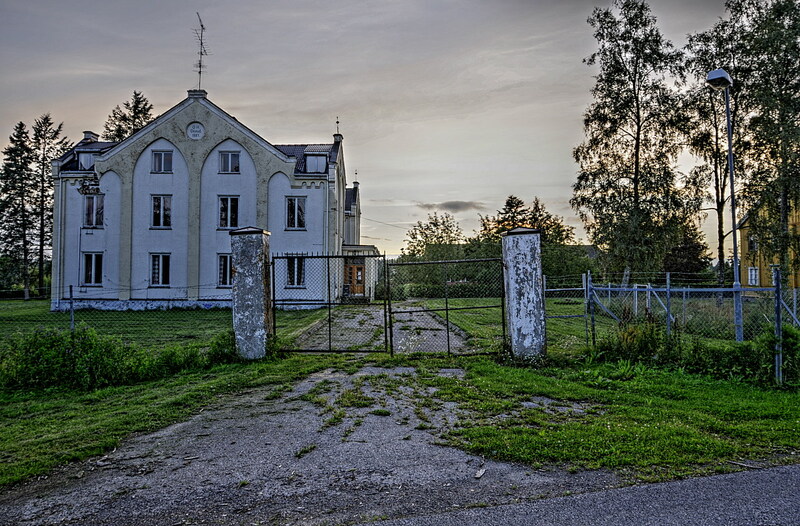 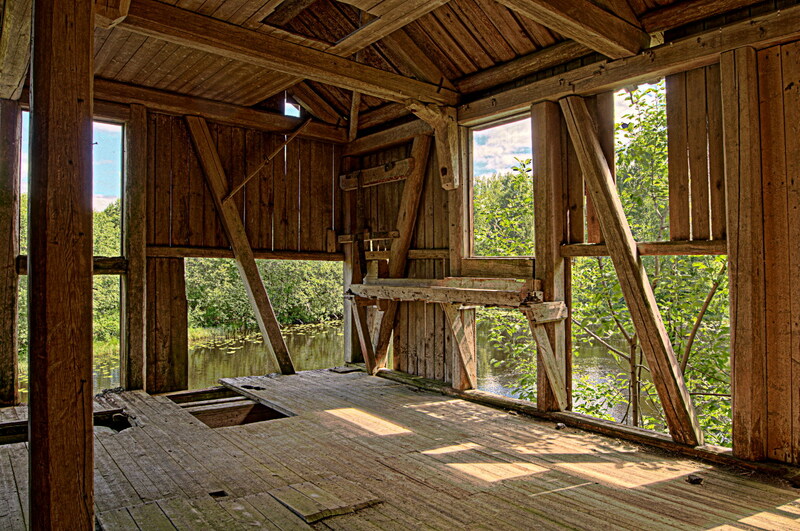 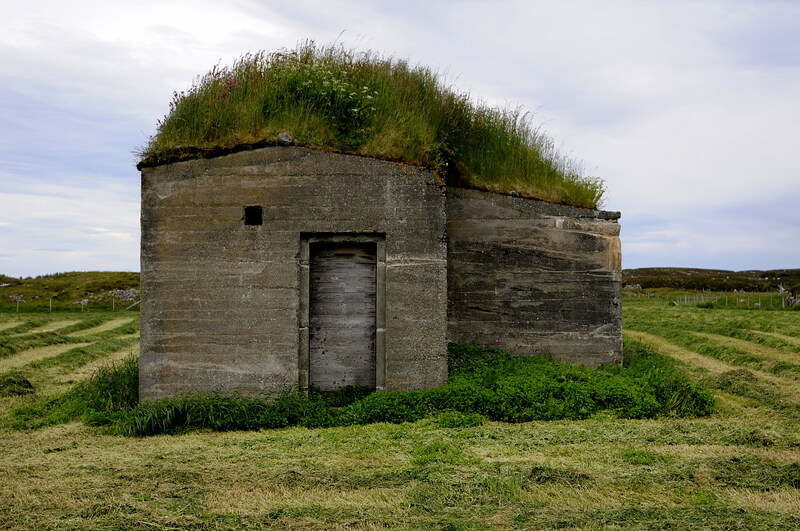 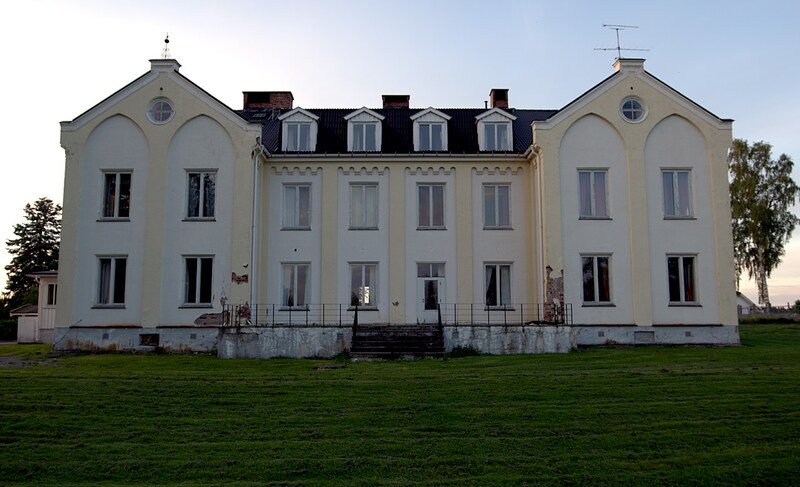 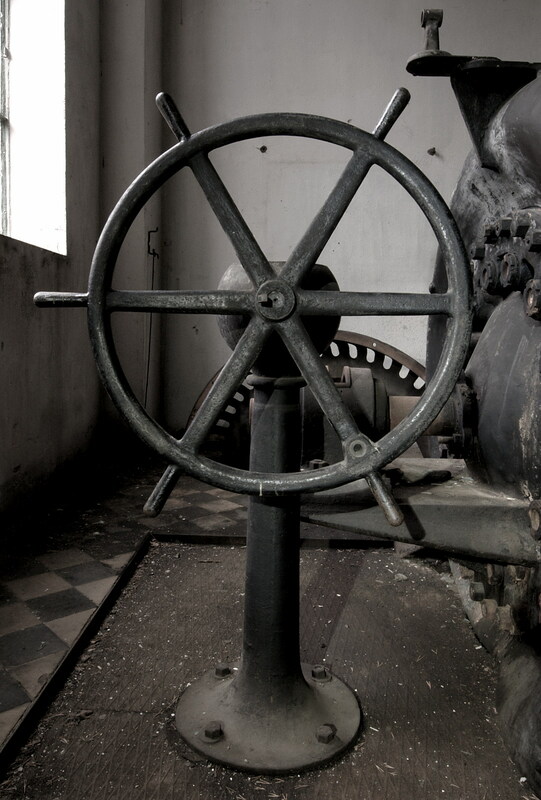 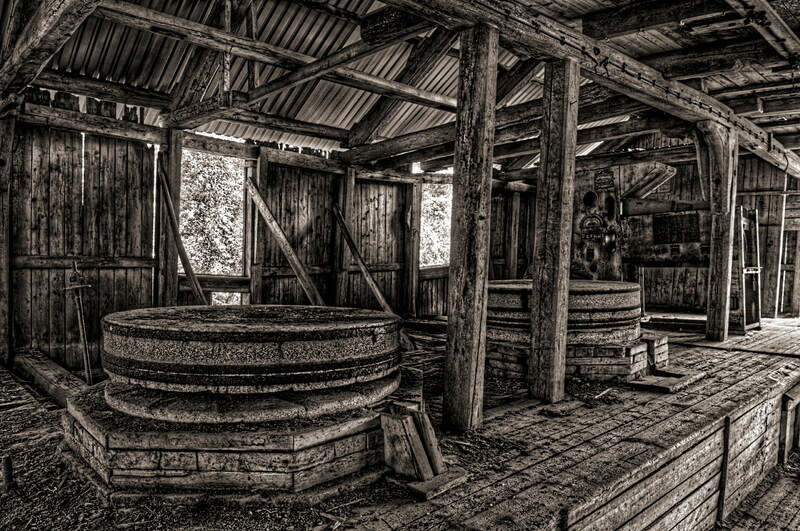 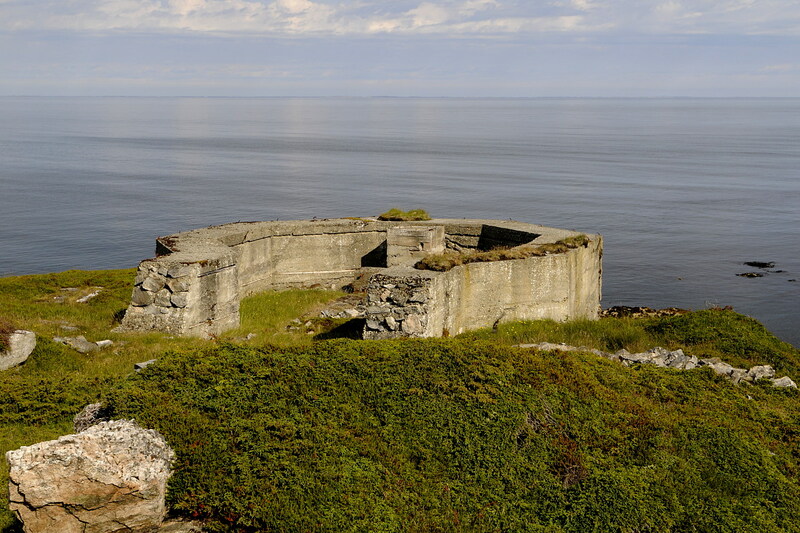 After the war it was briefly in use by the Norwegian coastal artillery, but was soon abandoned and stripped down. 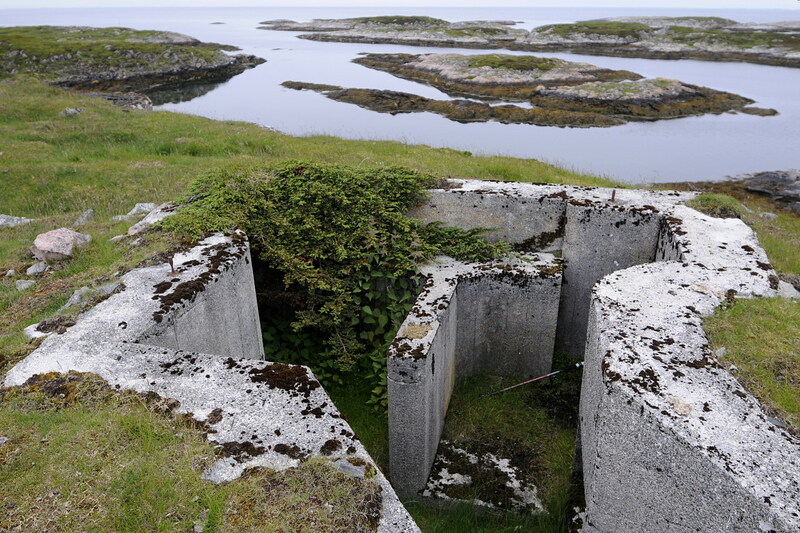 The armament consisted of Dutch torpedo canon with four 53 cm torpedo tubes and a number of flak-positions. 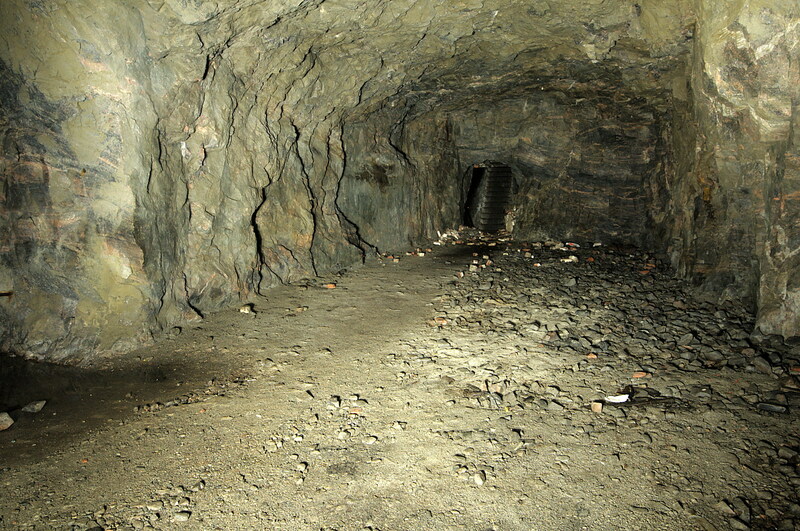 Better be carefull. 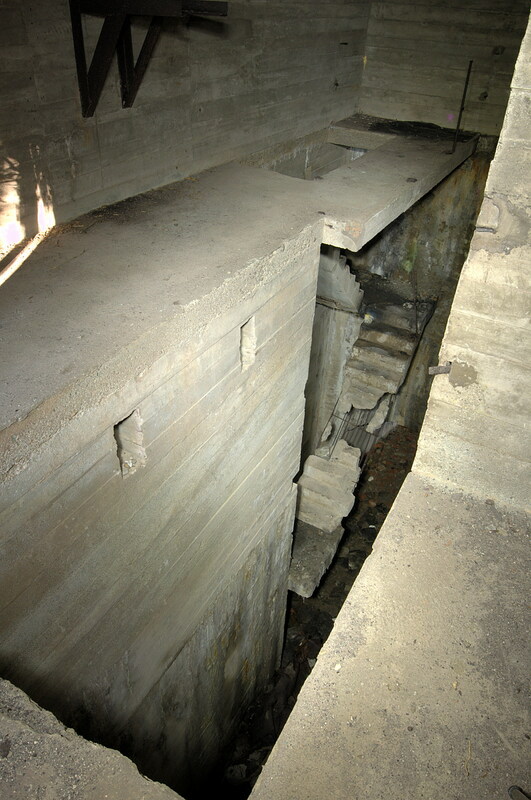 That’s a 20 foot drop. 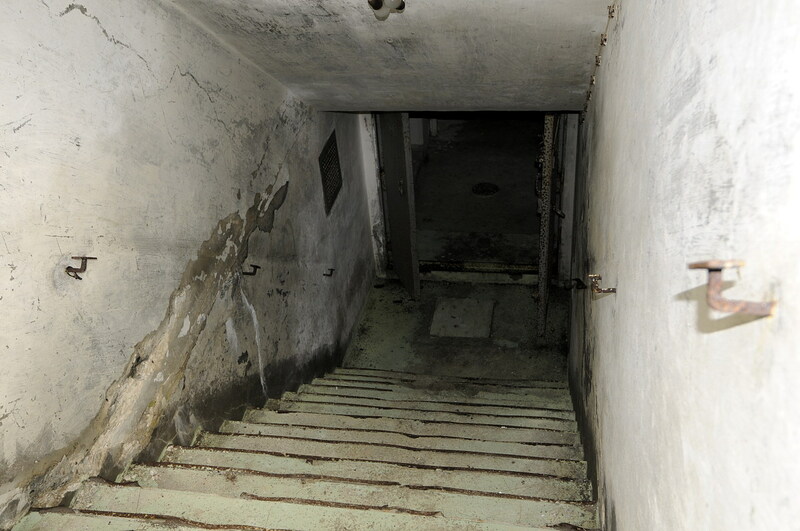 Those stairs doesn’t look too inviting either. 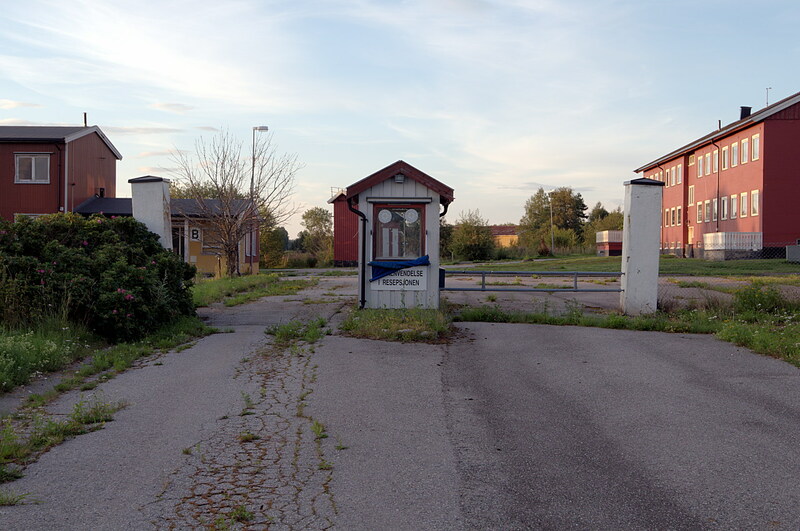 Better try another route to get in, I guess. 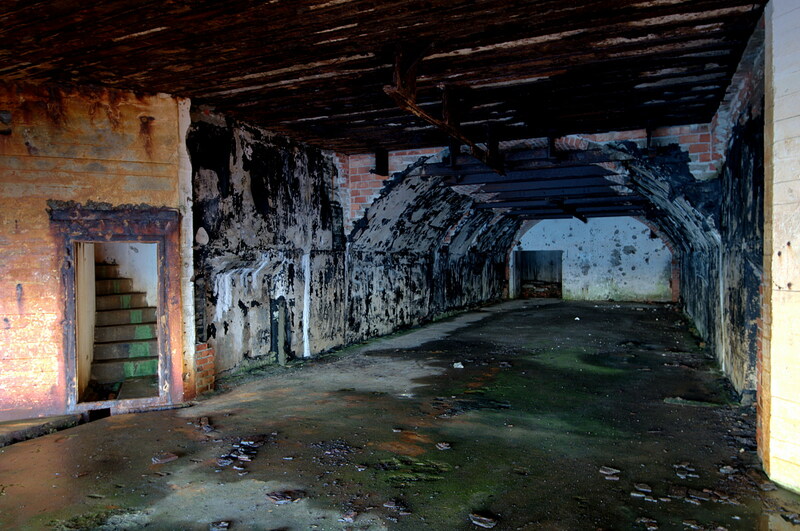 Large hall at the bottom of the stairs. 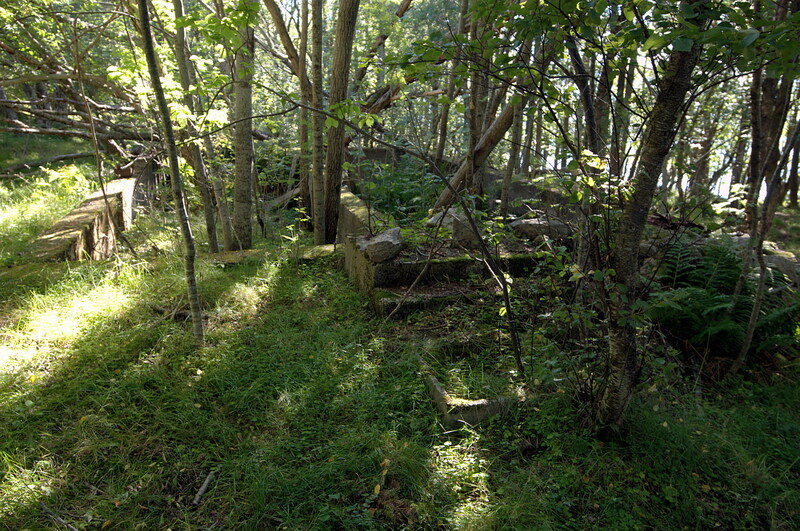 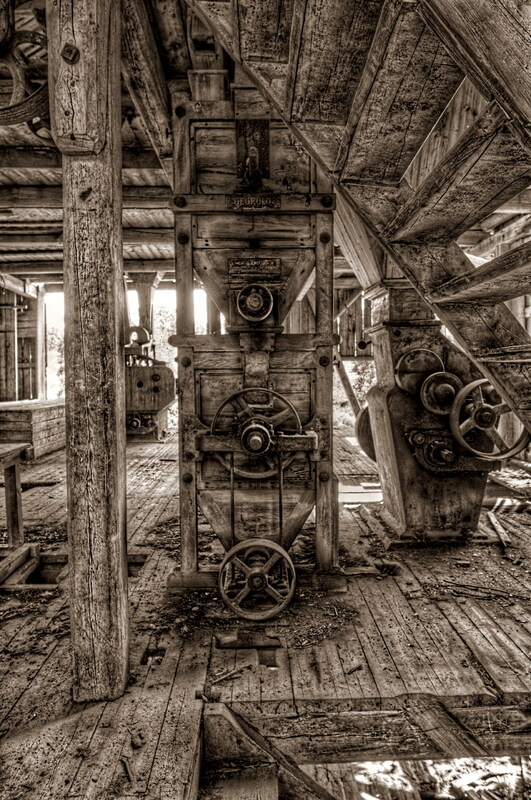 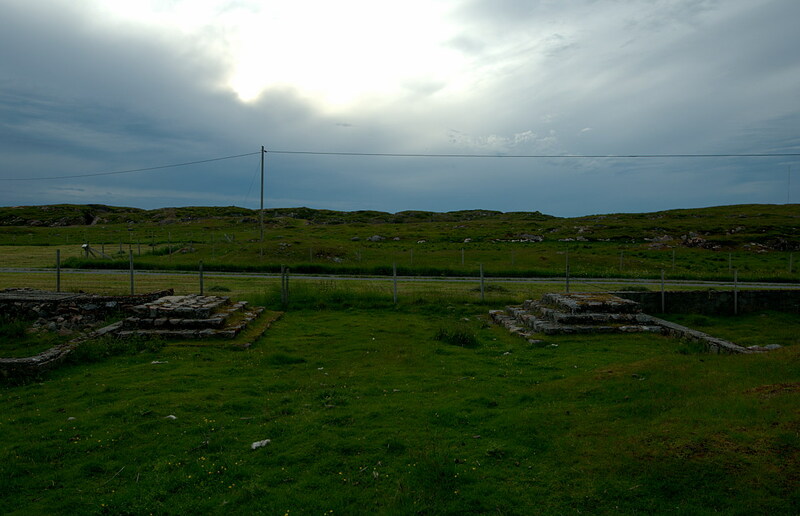 The stairs themselves can be seen in the top middle of the picture. 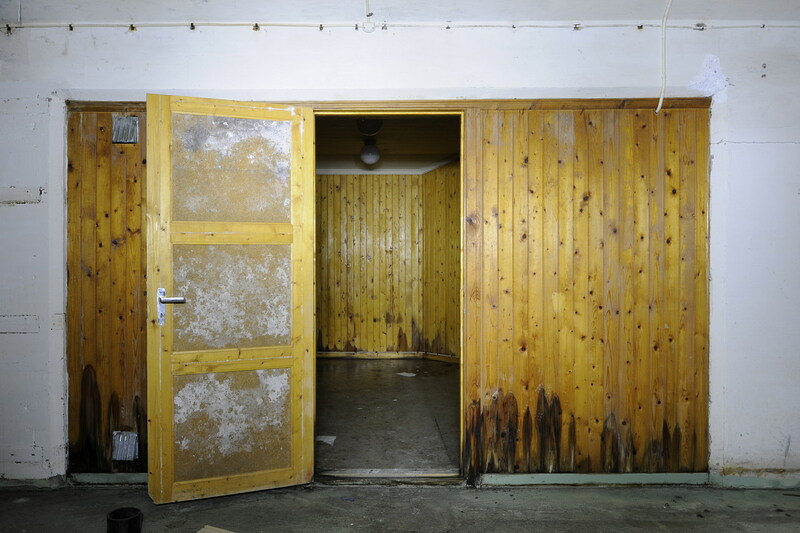 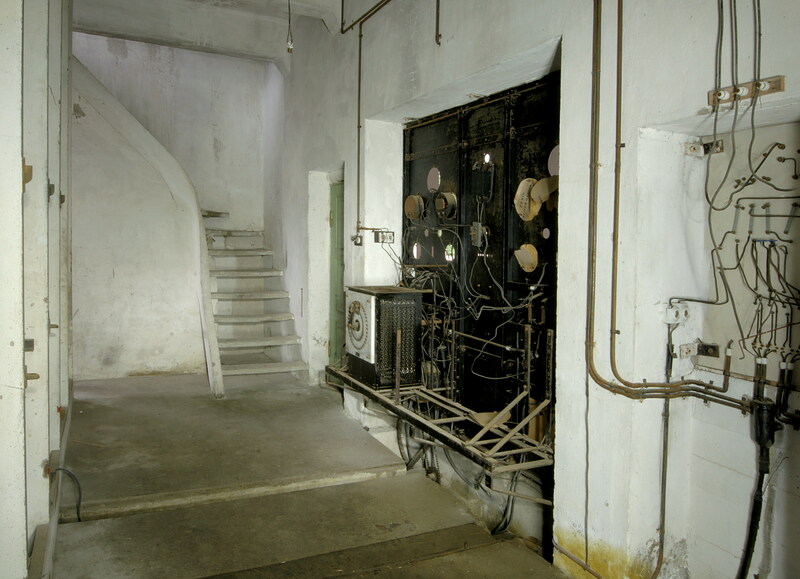 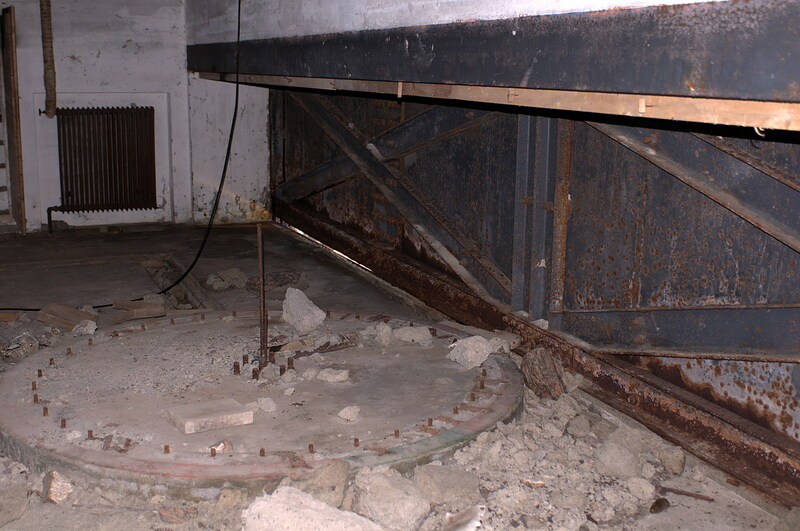 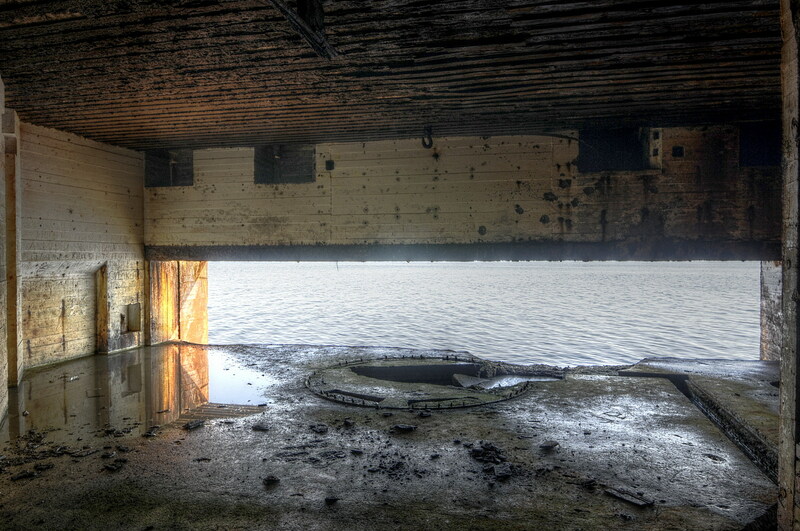 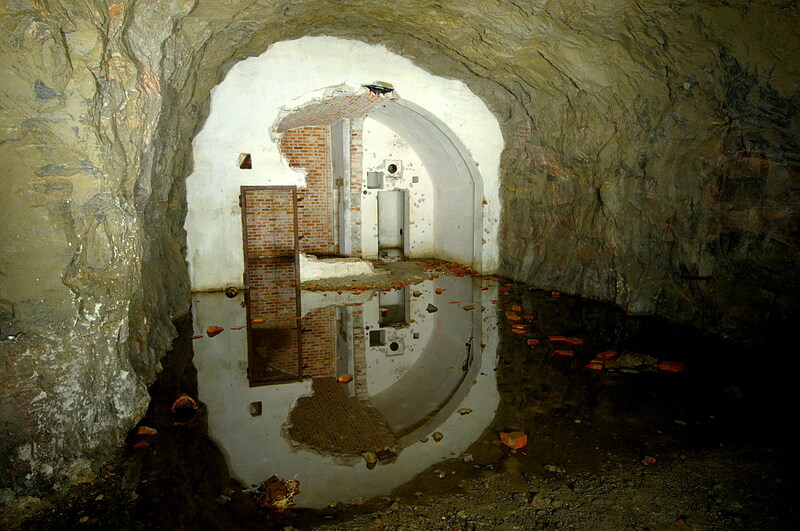 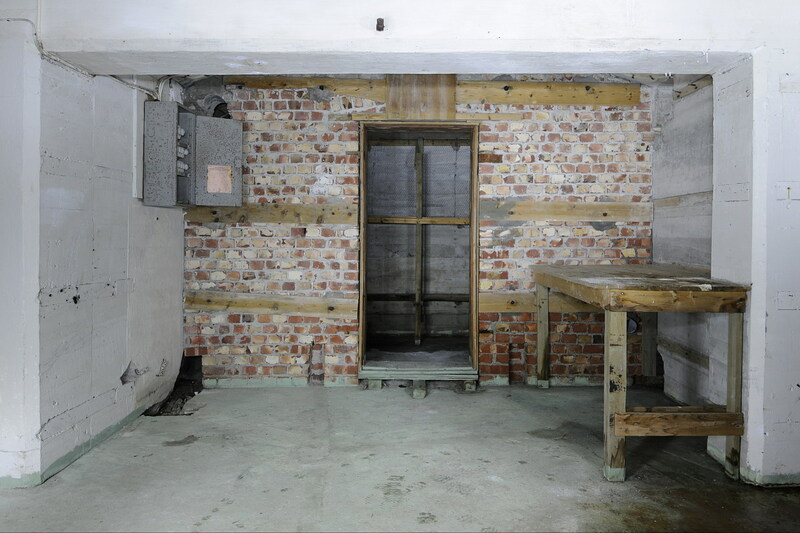 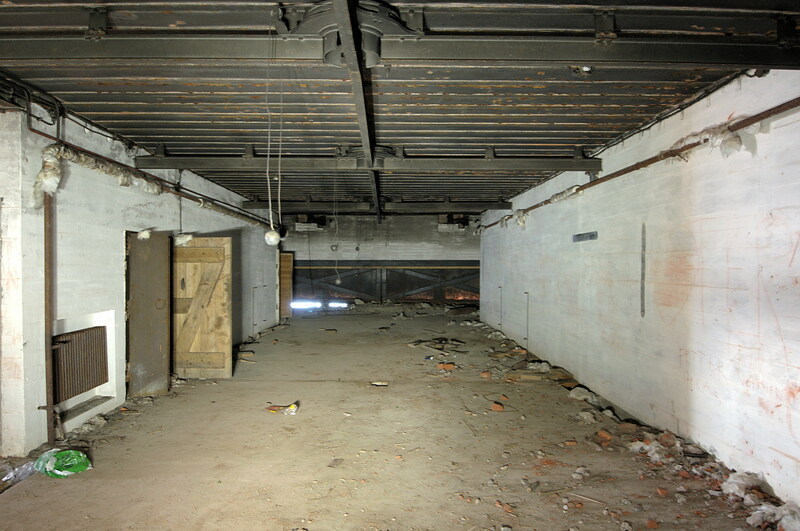 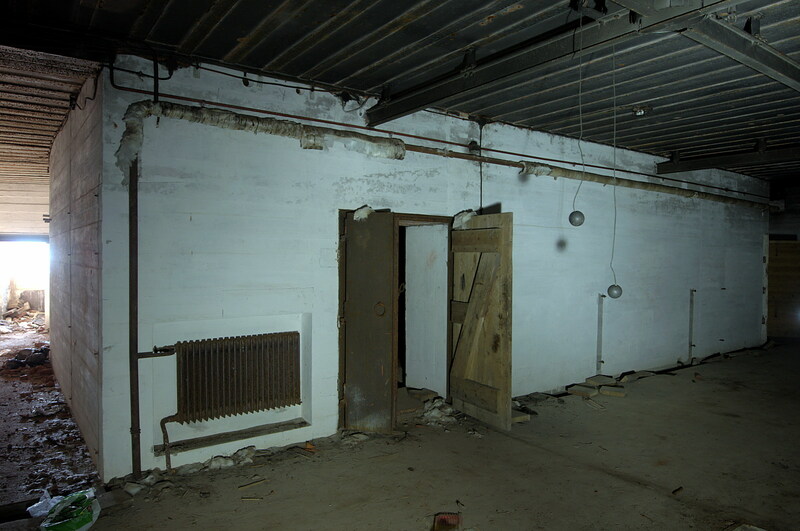 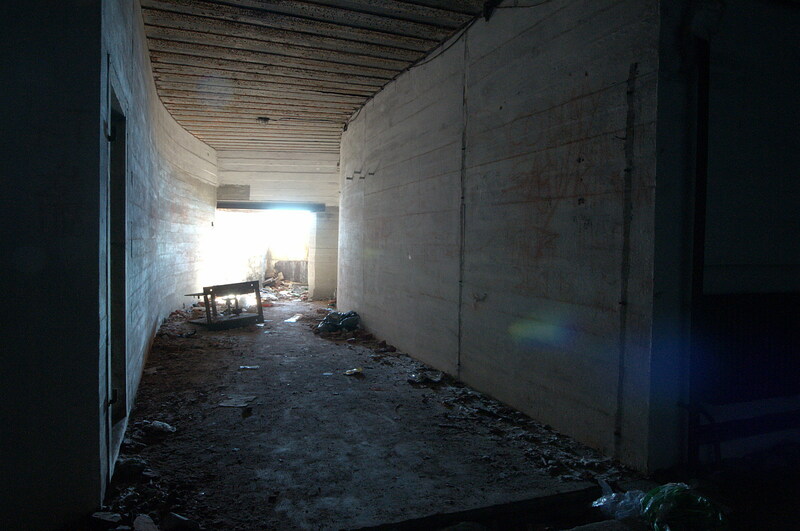 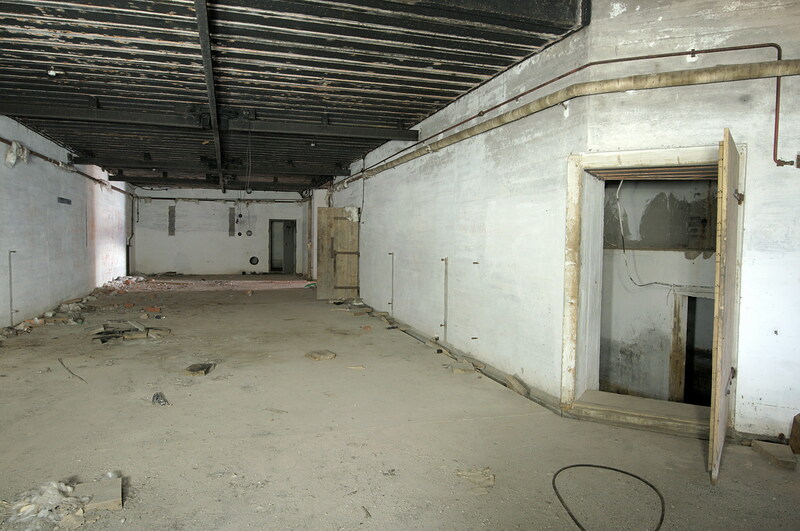 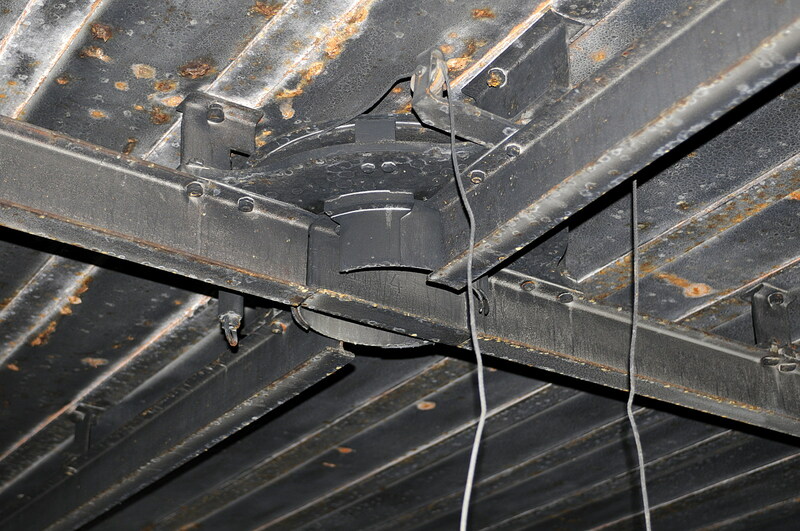 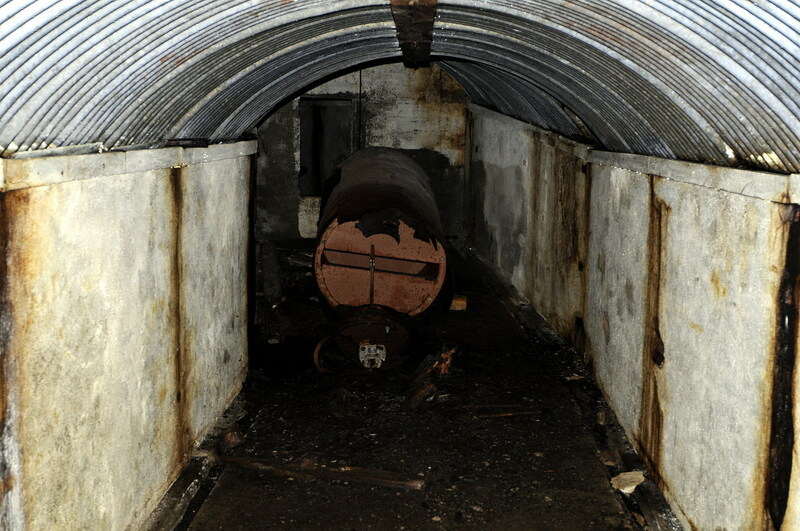 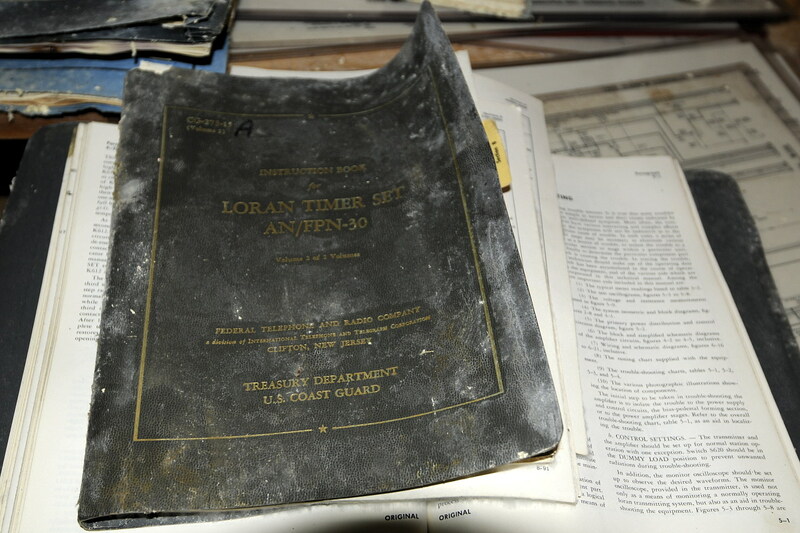 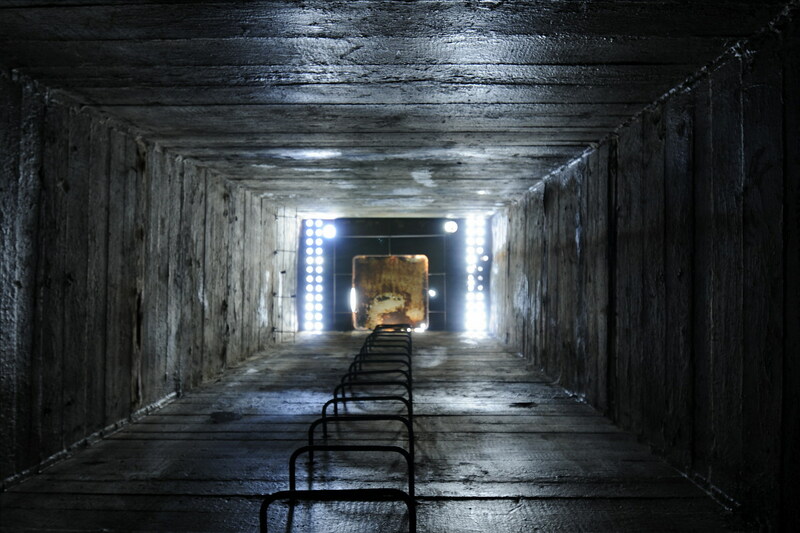 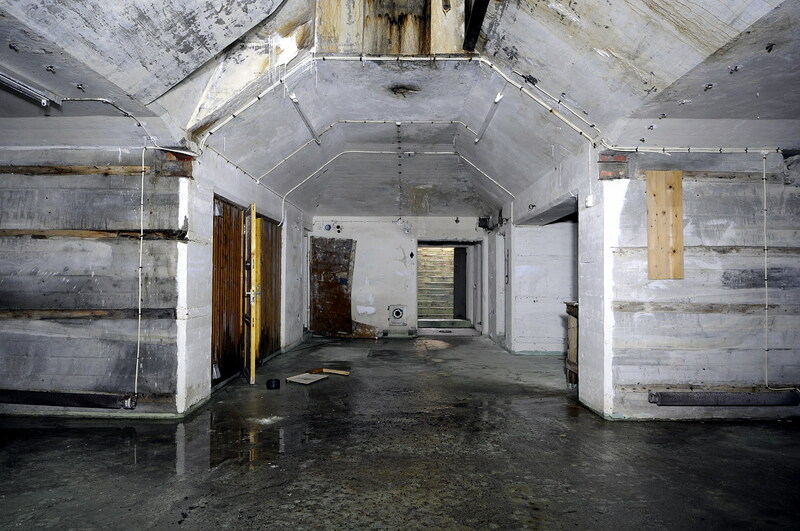 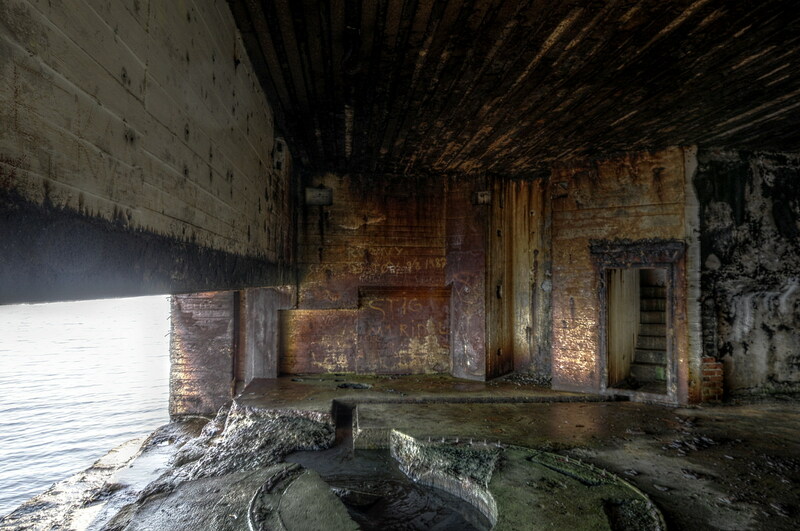 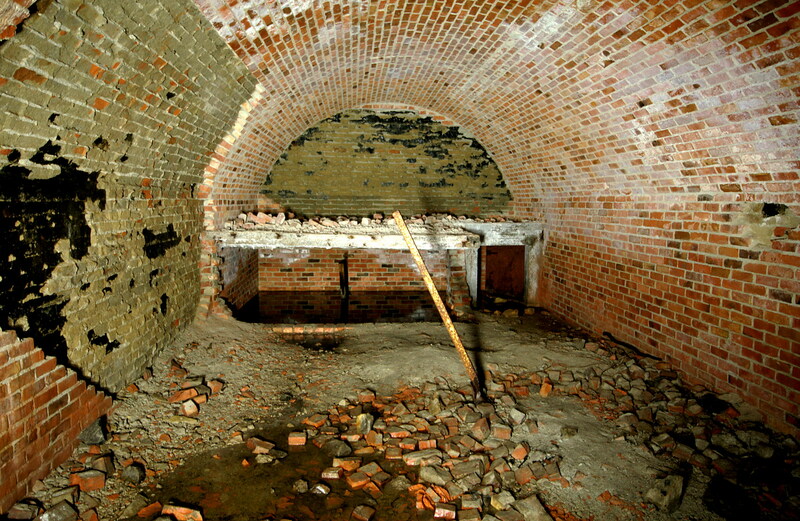 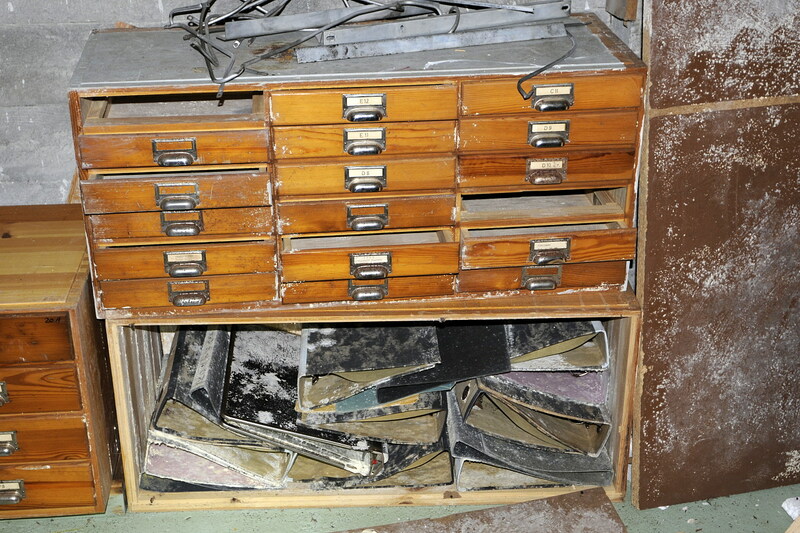 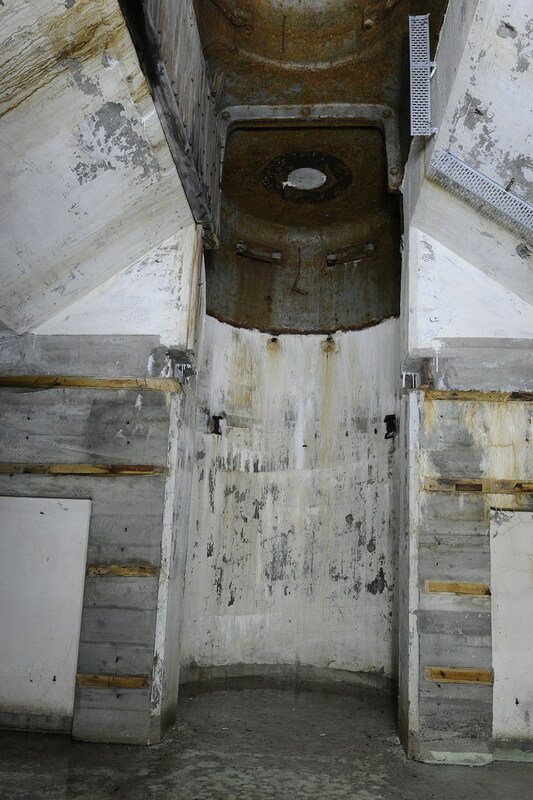 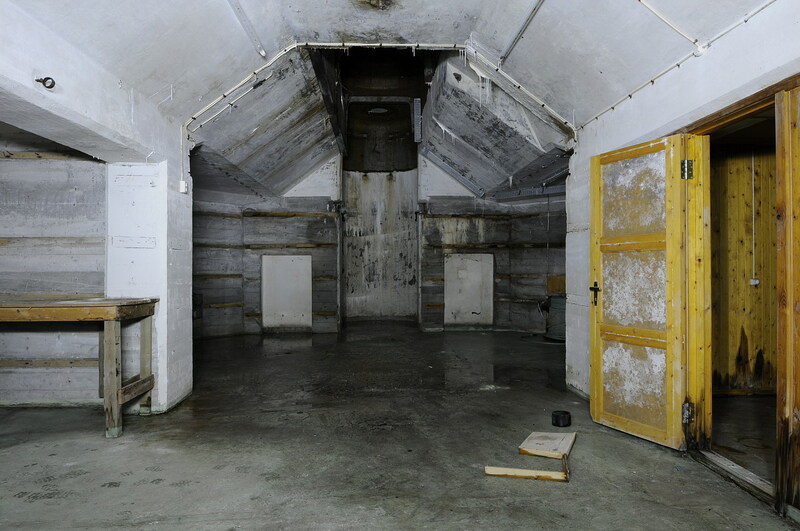 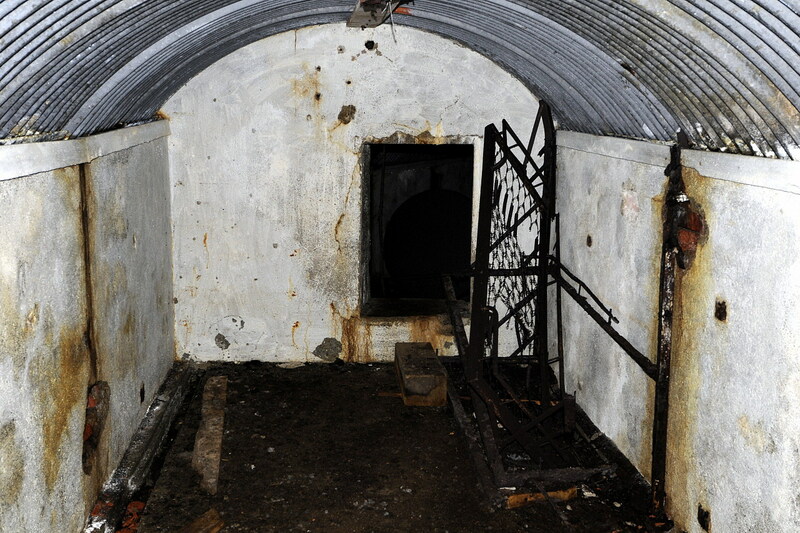 The room where the torpedo tubes was located, from the front. 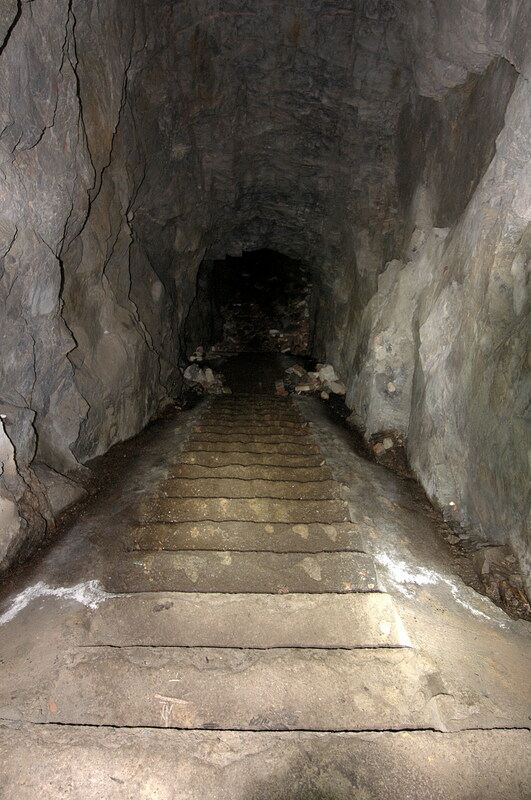 Stairs up to the leitstand to the left. 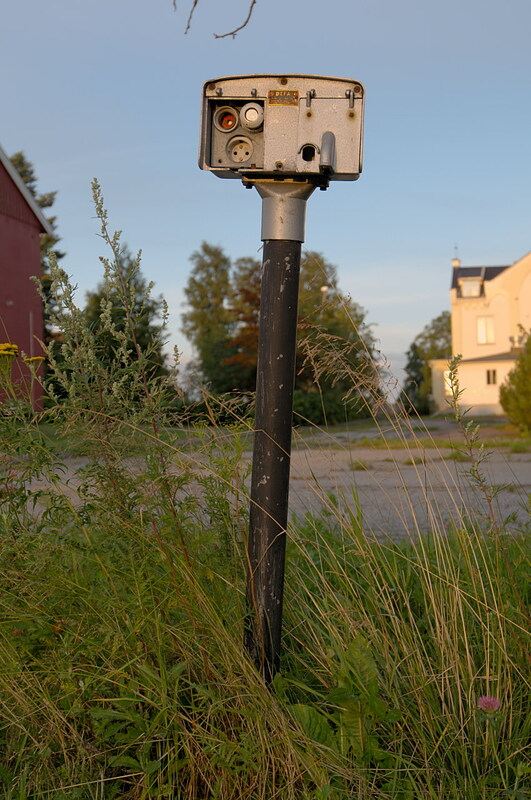 Back outside. 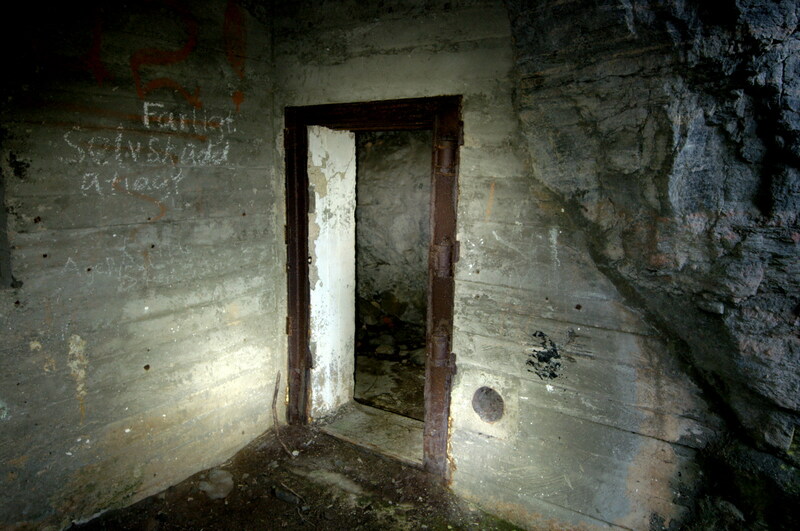 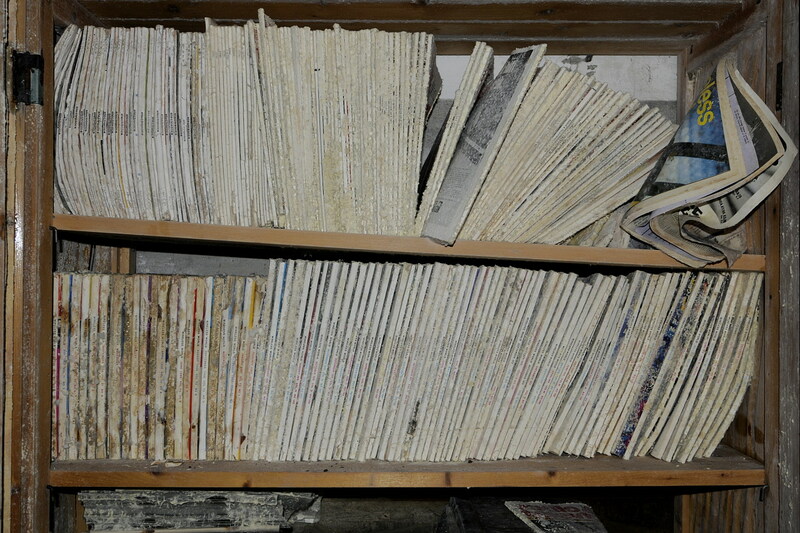 Inside a VF bunker? 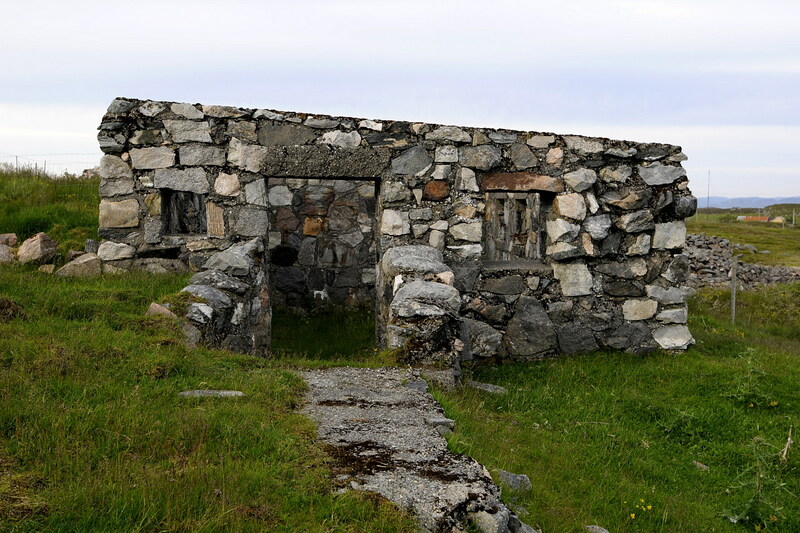 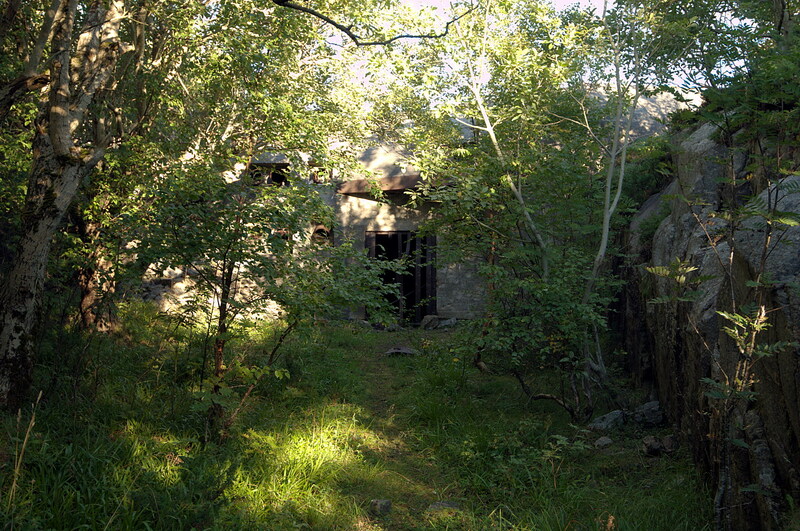 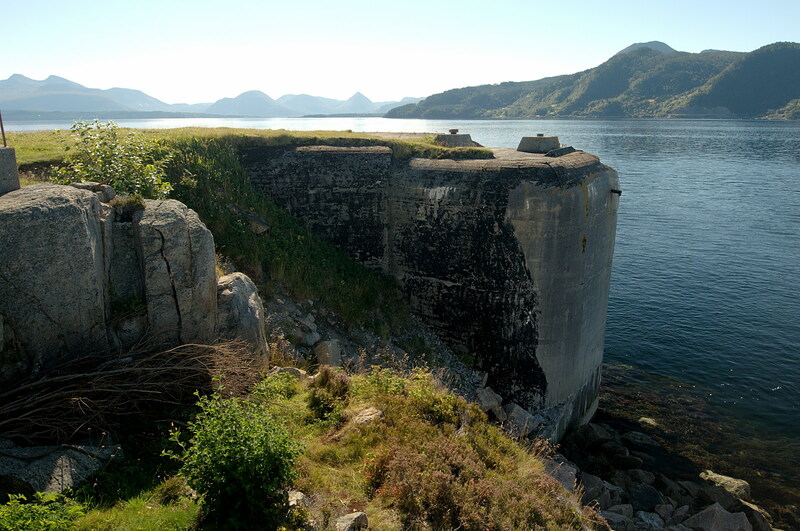 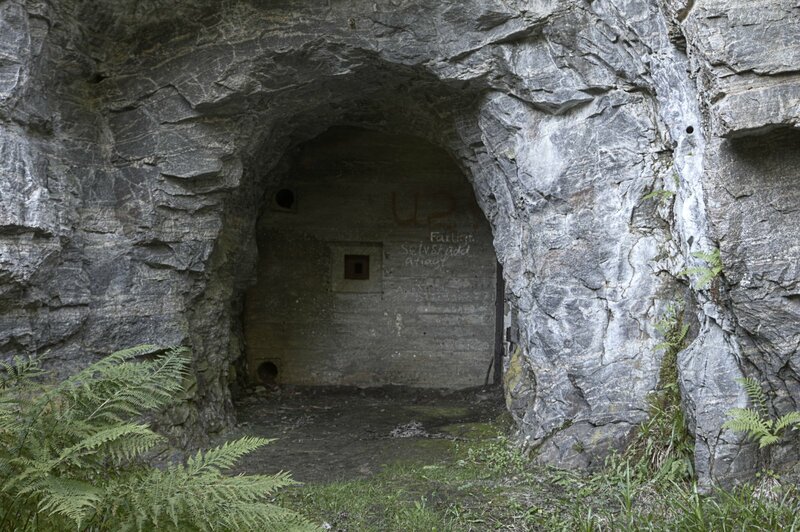 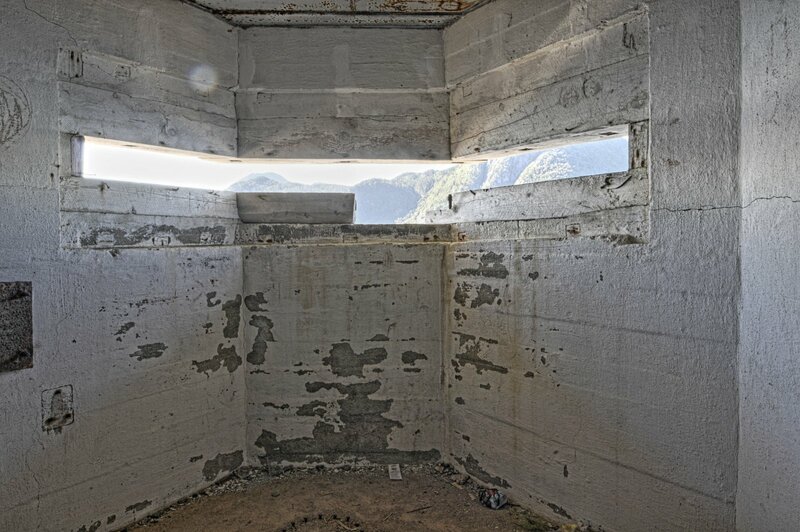 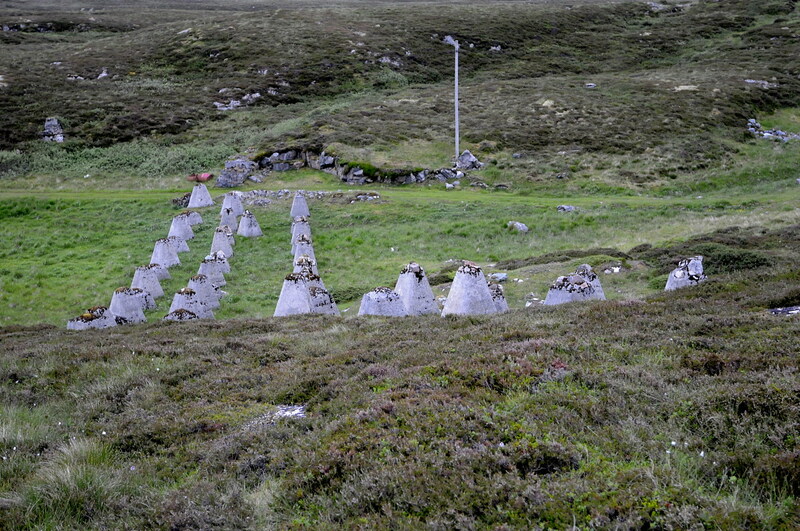 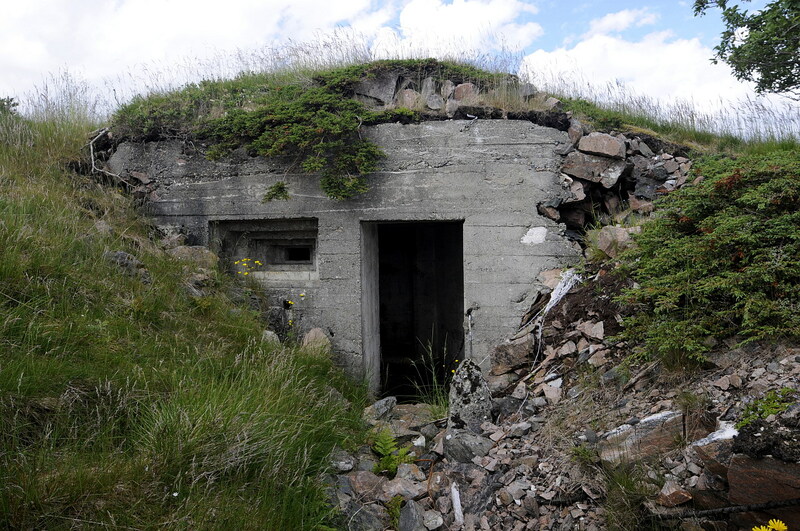 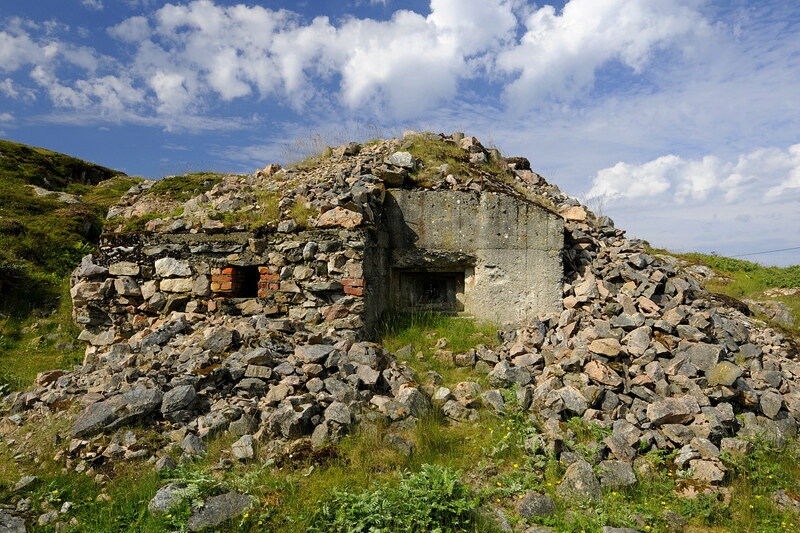 On the remote island of Tarva, off the coast of Trøndelag in Norway, lies this huge coastal fortress which consisted of a multitude of bunkers, trenches, gun positions, cannon emplacements, radars and more, built by the Germans after the invasion of Norway in April 1940. 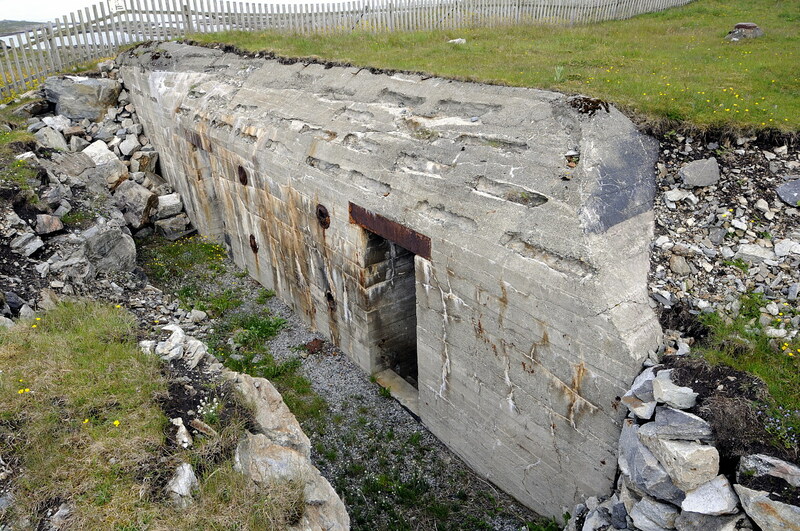 The fortress was equipped with 3 huge 28cm SKL/45 guns, capable of propelling a projectile almost 40 kilometres away. 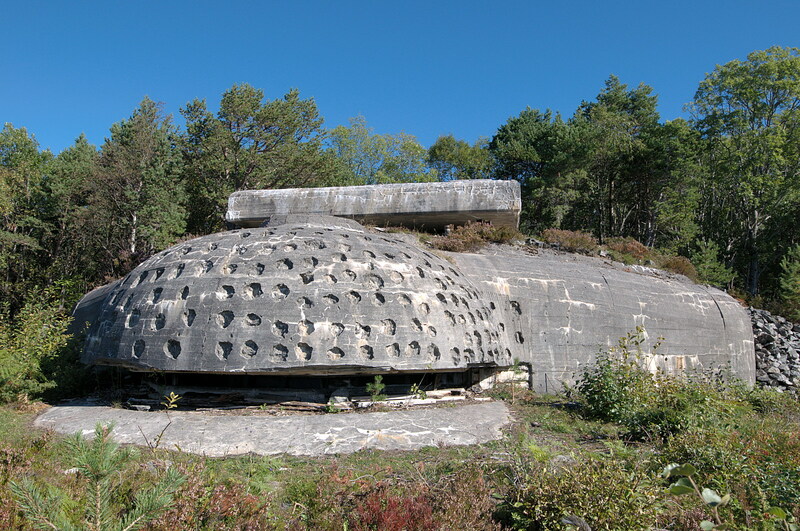 It also had an extensive set of defensive works in the surrounding area, to defend against land based and airborne attacks. 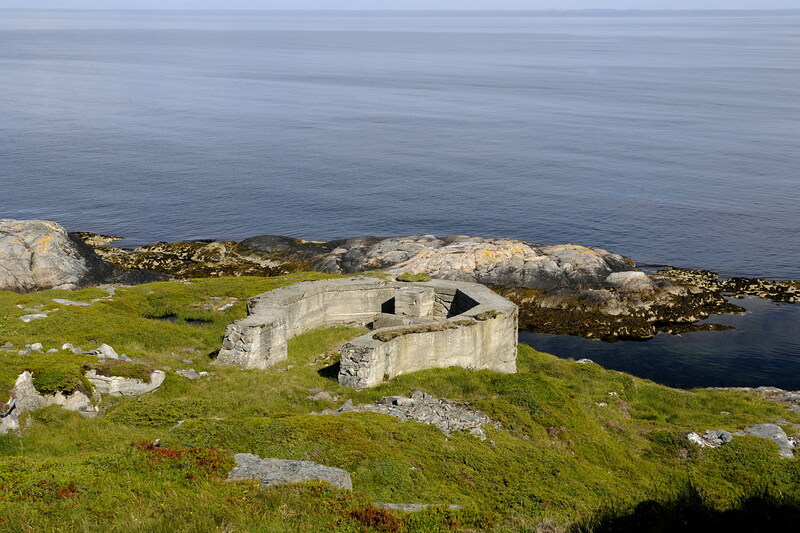 At it’s peak, over 2000 German soldiers was garrisoned on this island. 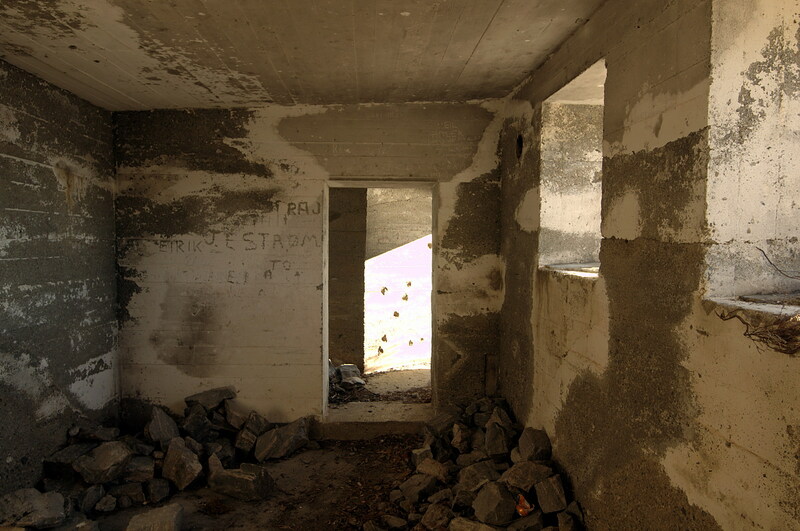 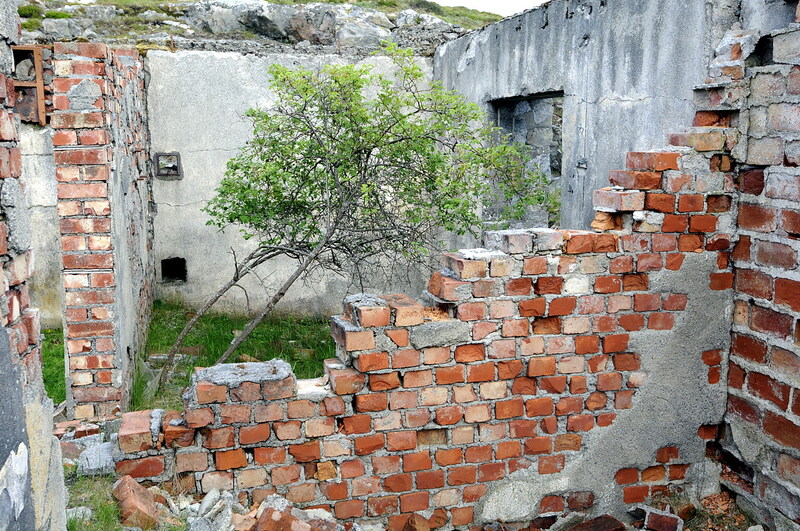 In addition, there was an unknown number of POW incarcerated here to work on the building of the fortress. 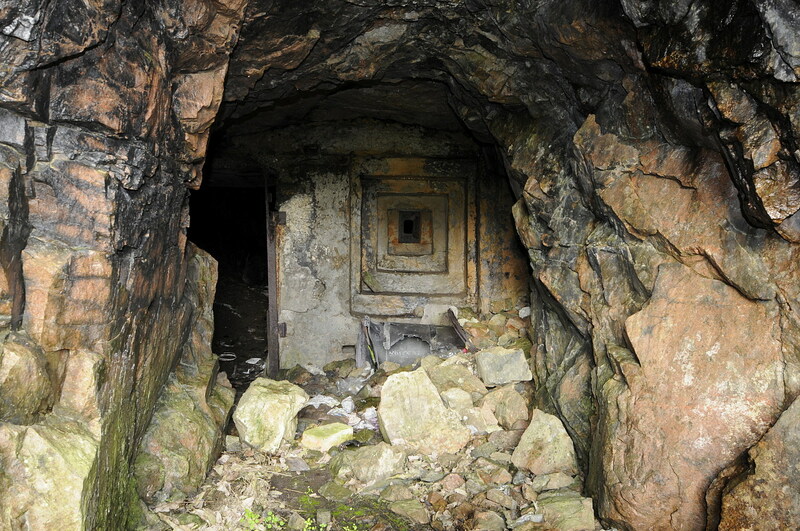 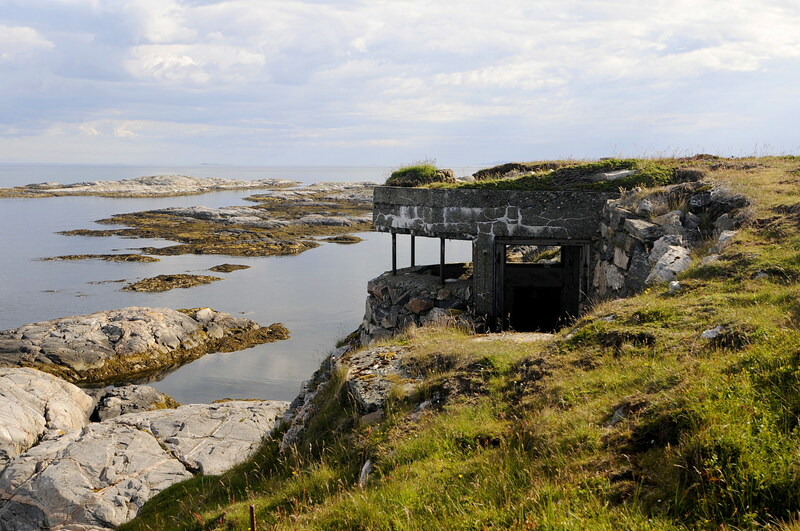 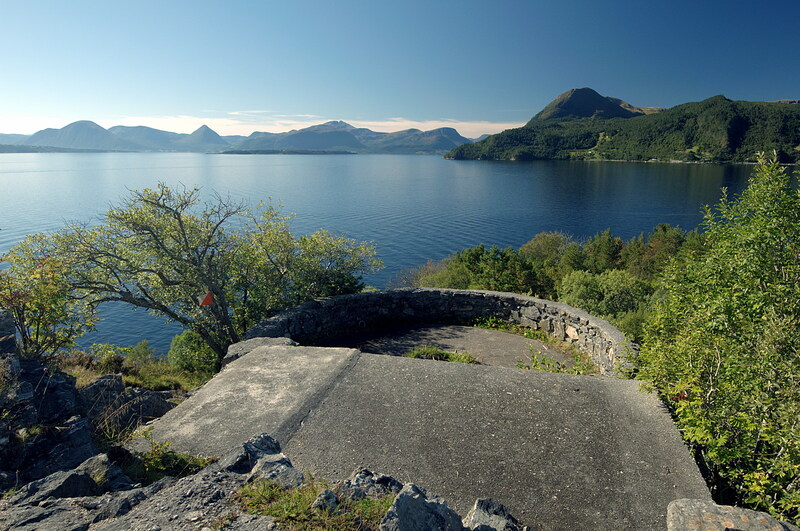 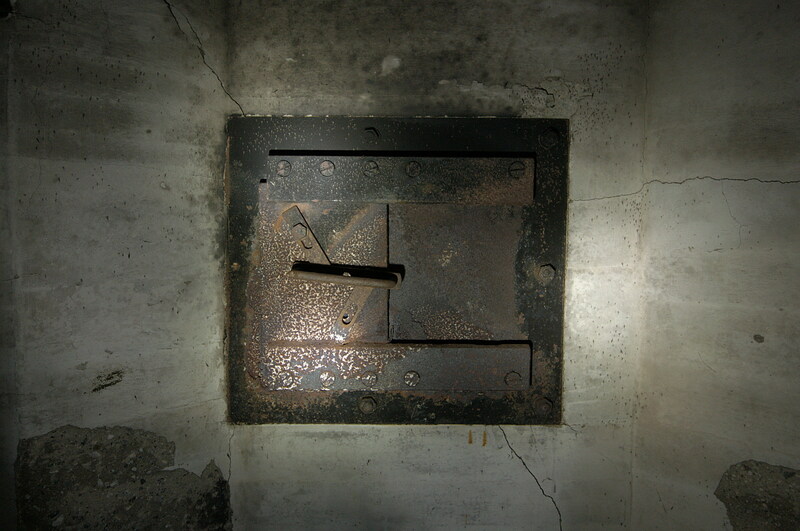 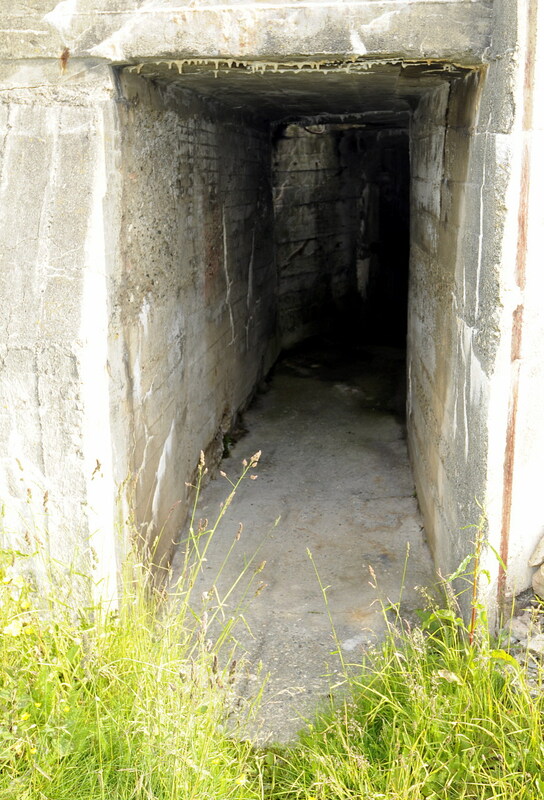 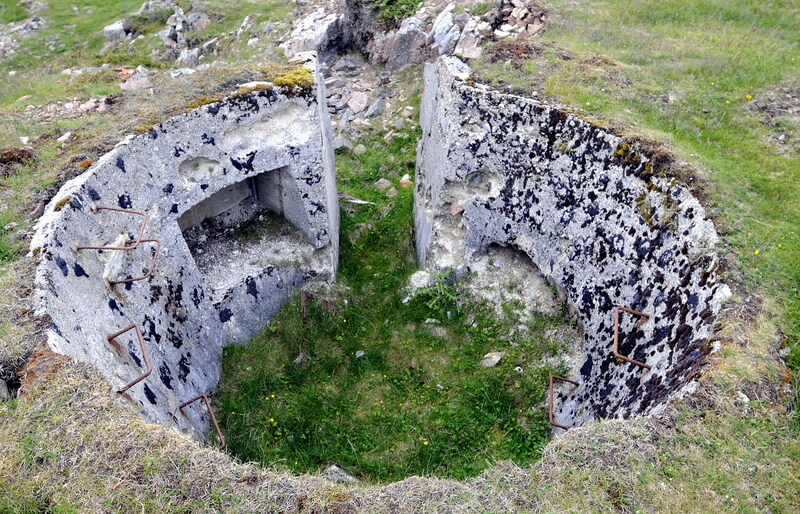 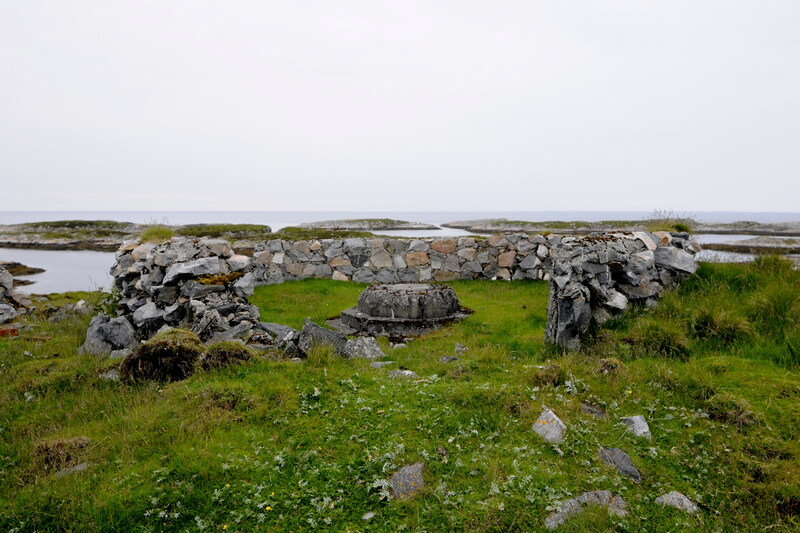 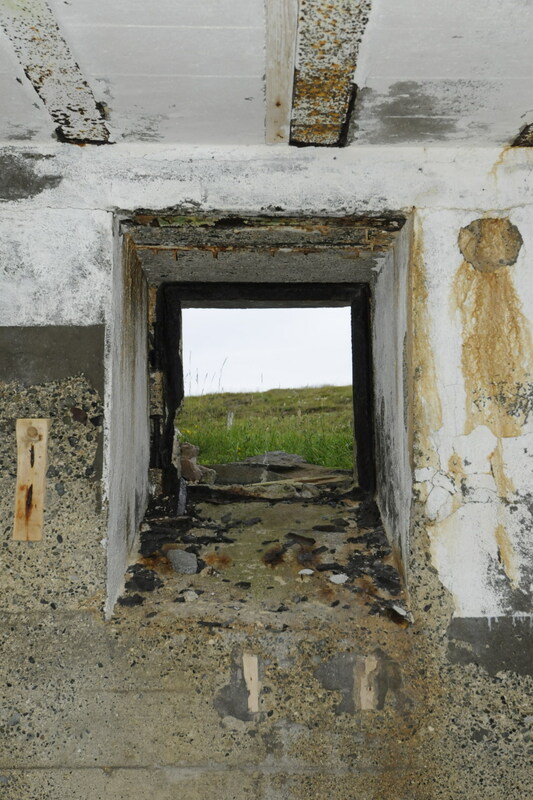 The fortress got a brief history as part of the Norwegian army after the war but after an accident during test firing of one of the canons in November 1945, in which a grenade exploded inside the canon, killing 6 of the German crew, and 2 Norwegians, further plans for a coastal fortress as this Island was abandoned. 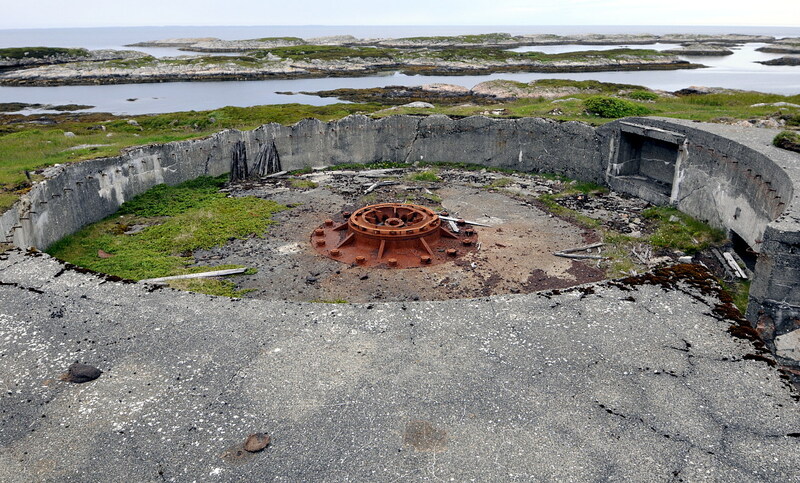 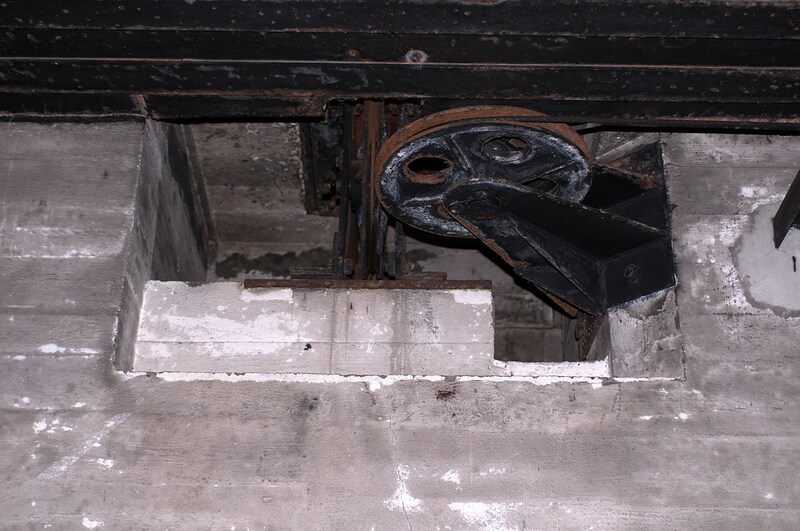 A 500Kg piece of the canon can still be found where it fell after the explosion 55 years ago, almost 1.5 kilometres from where the canon stood. 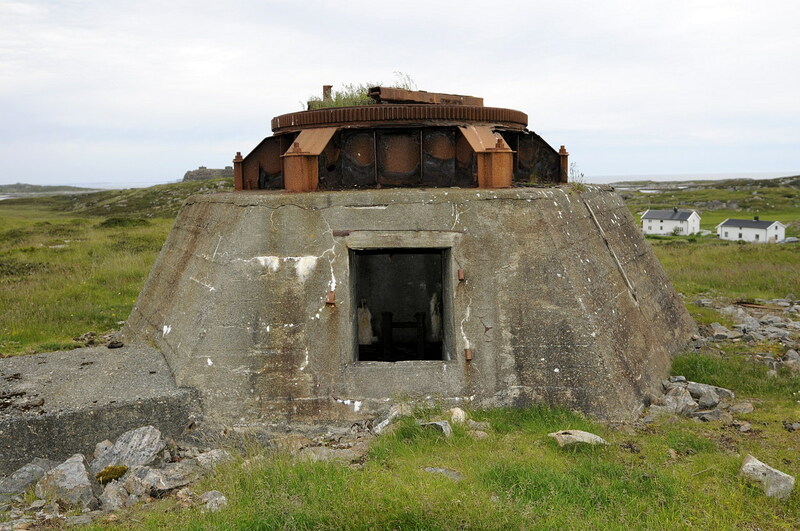 Smaller gun or radar position? 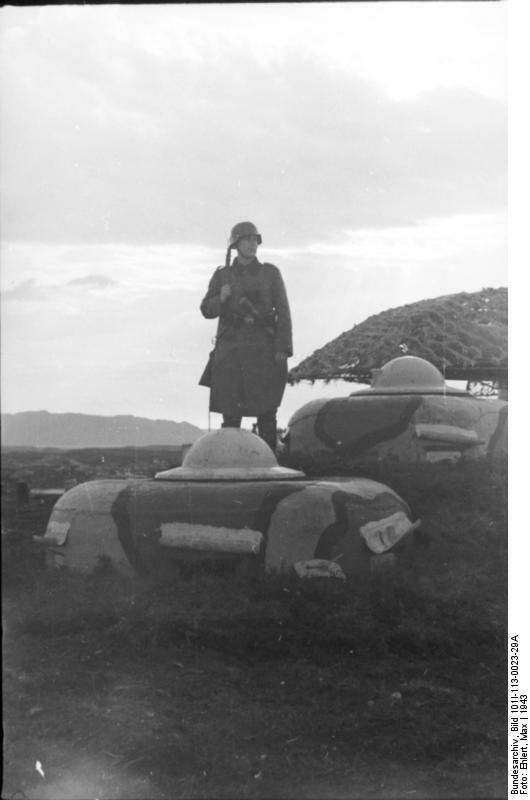 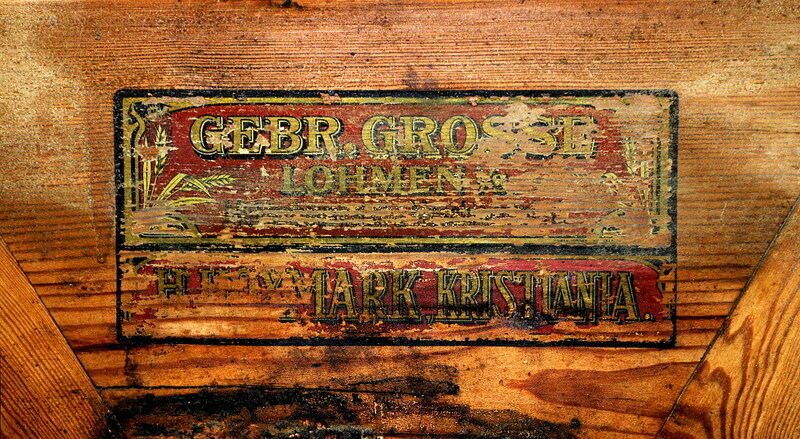 Part of the camouflage covering for a canon? 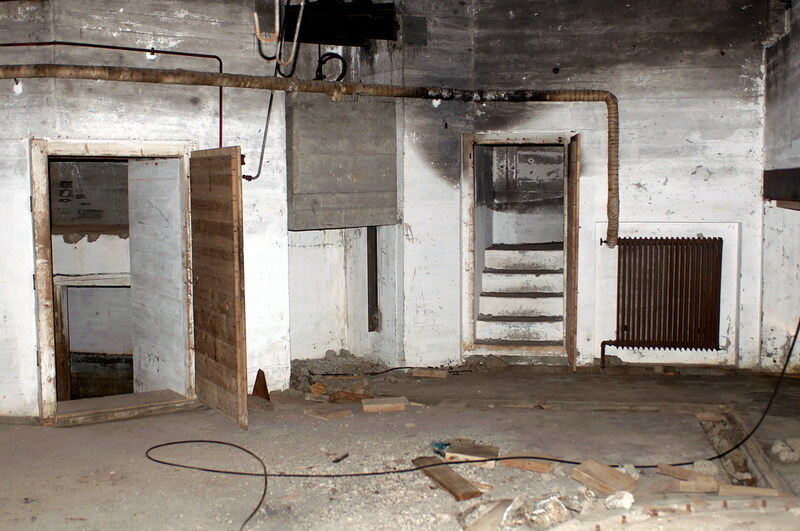 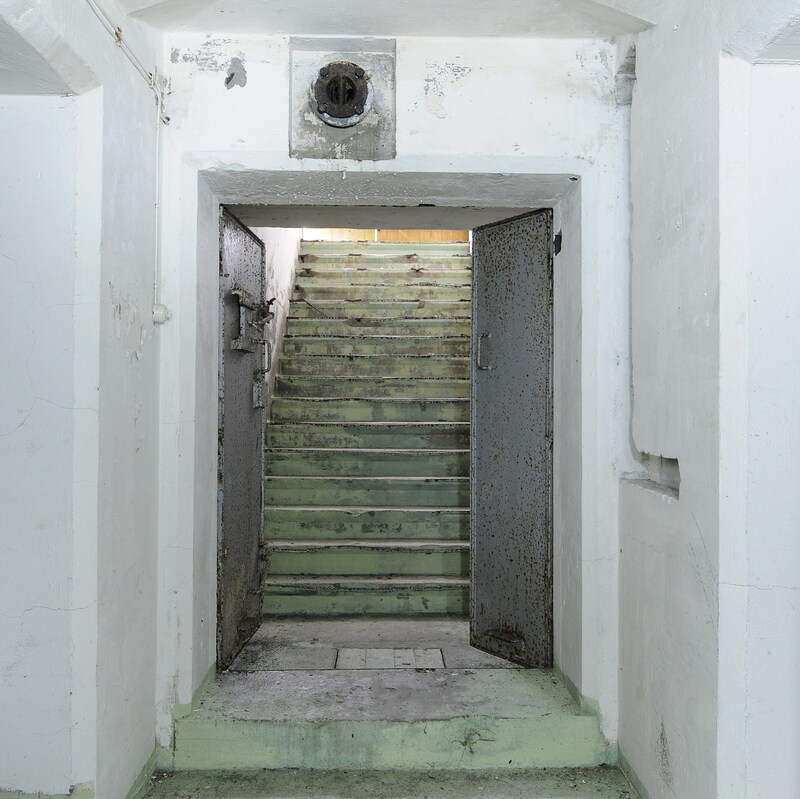 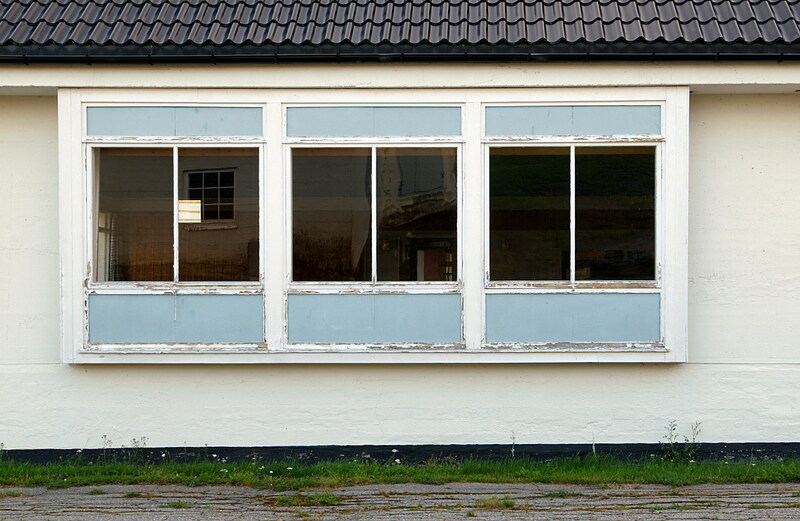 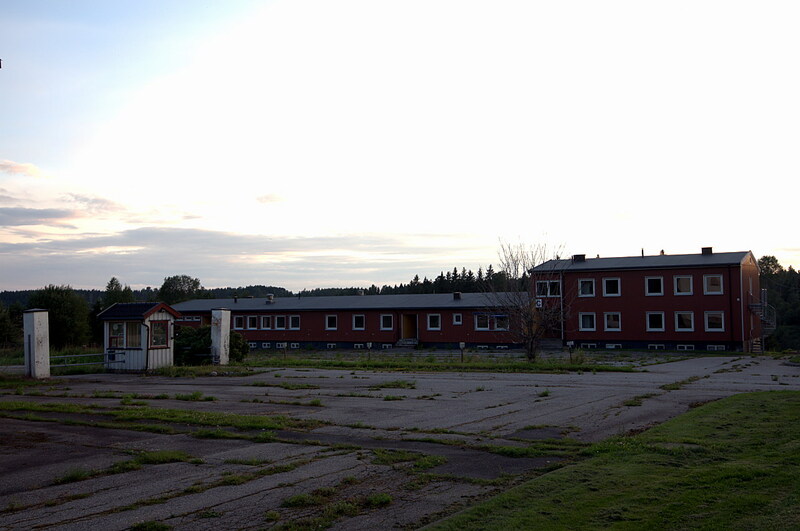 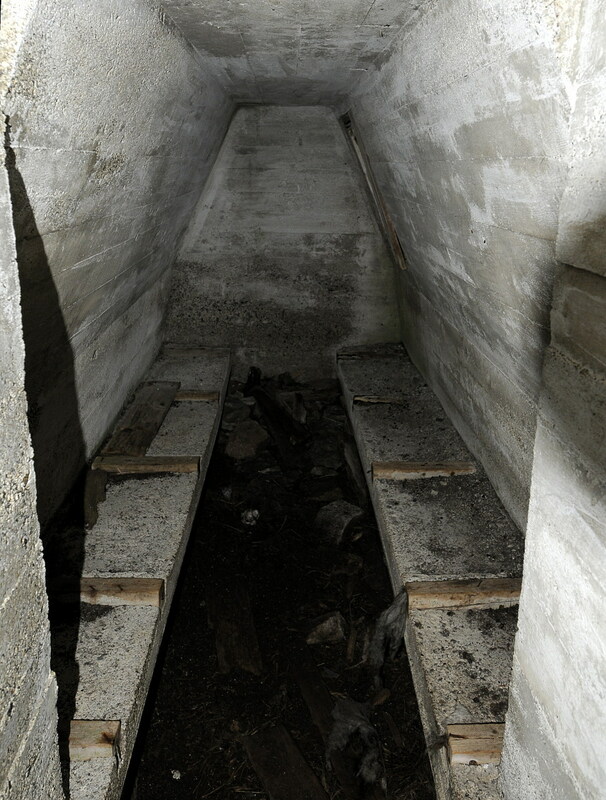 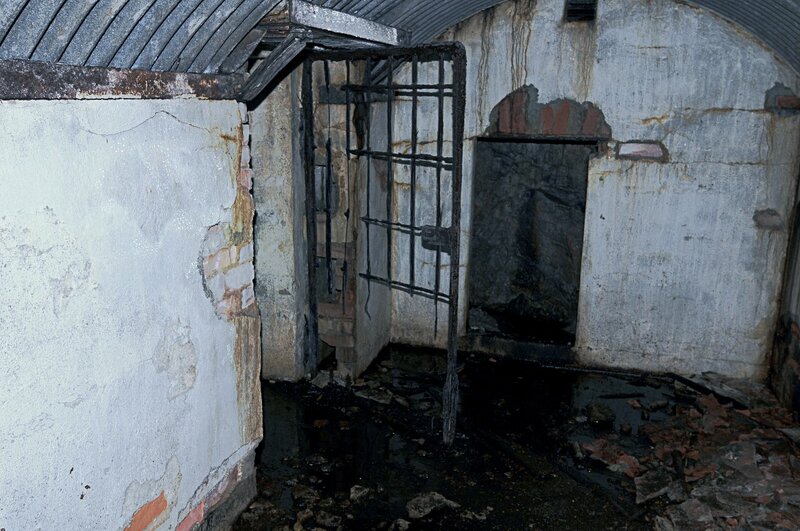 Ammunisjonsbunker med skinne i taket for løftetalje. 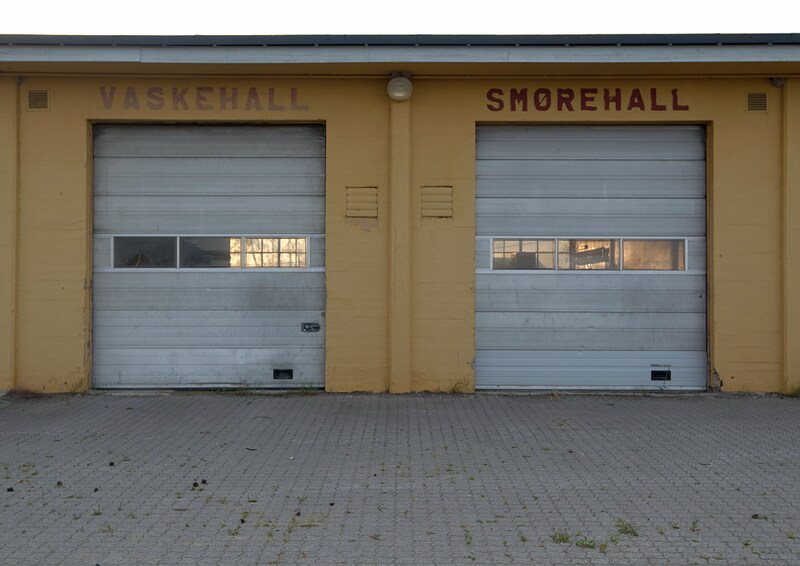 Produsenten av noe av maskineriet?